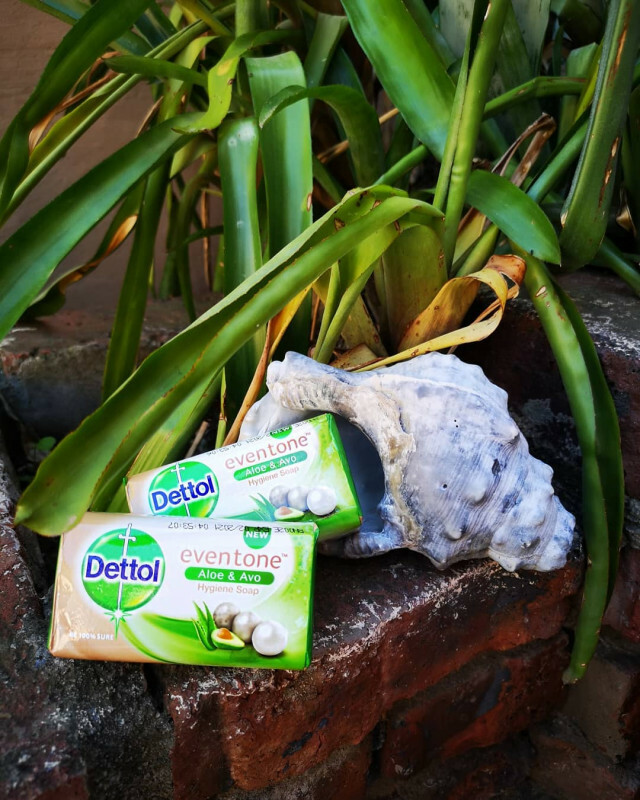 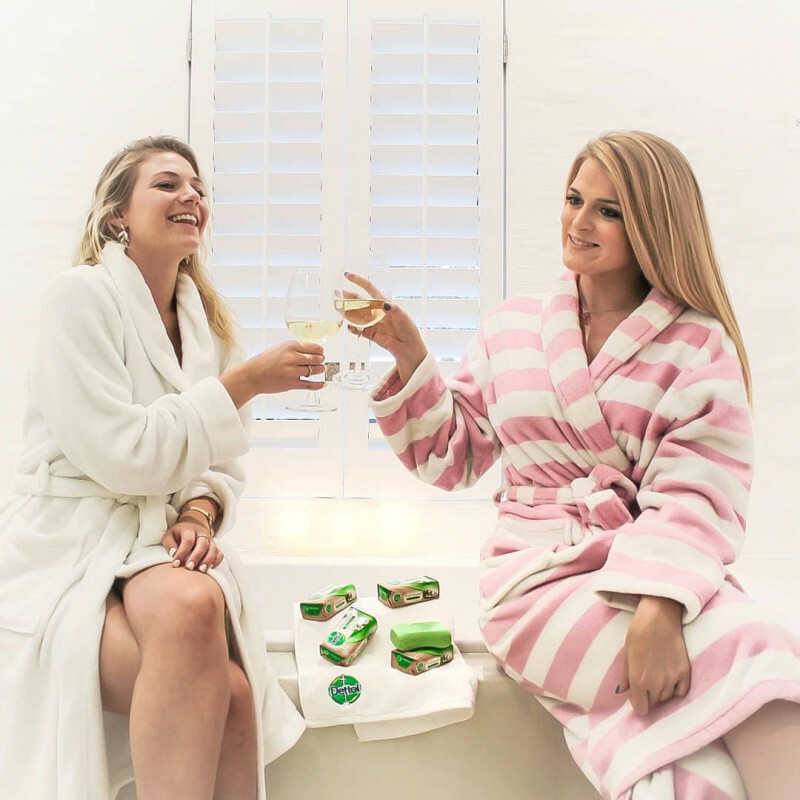 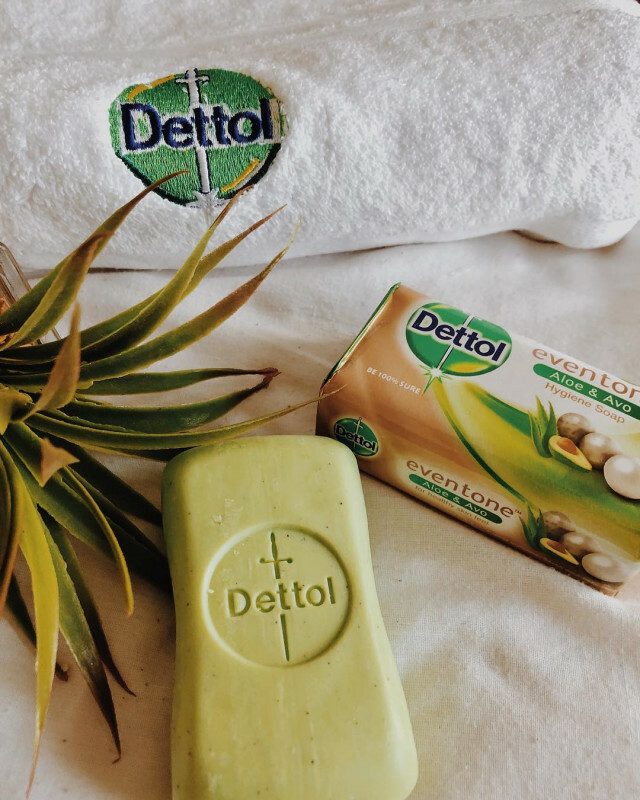 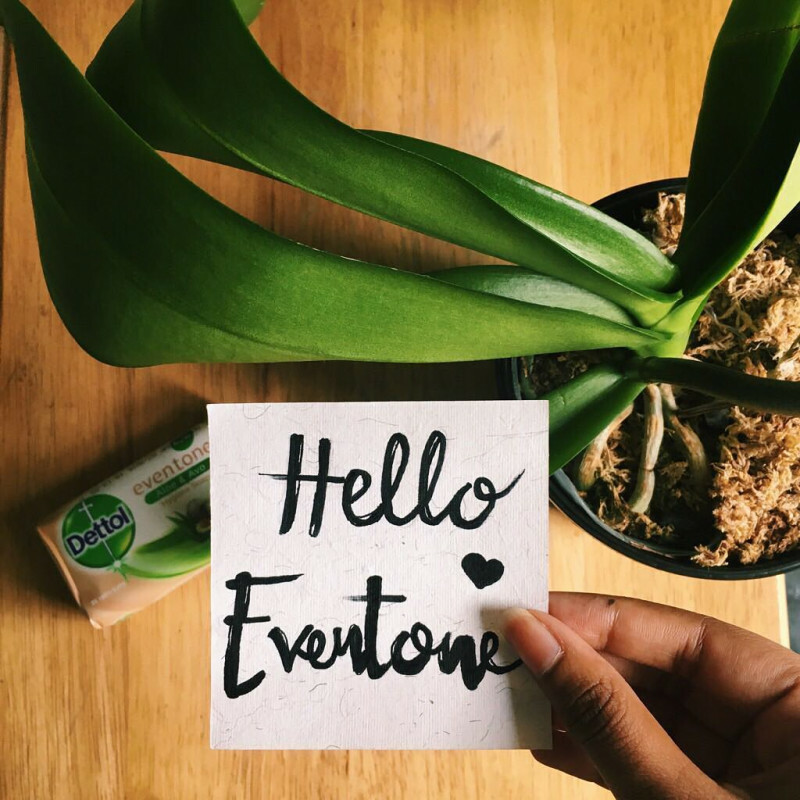 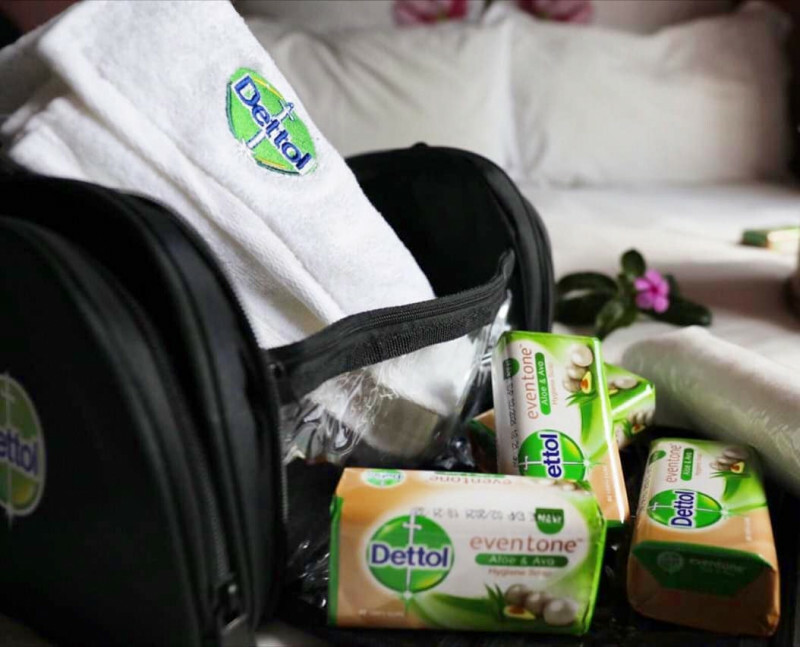 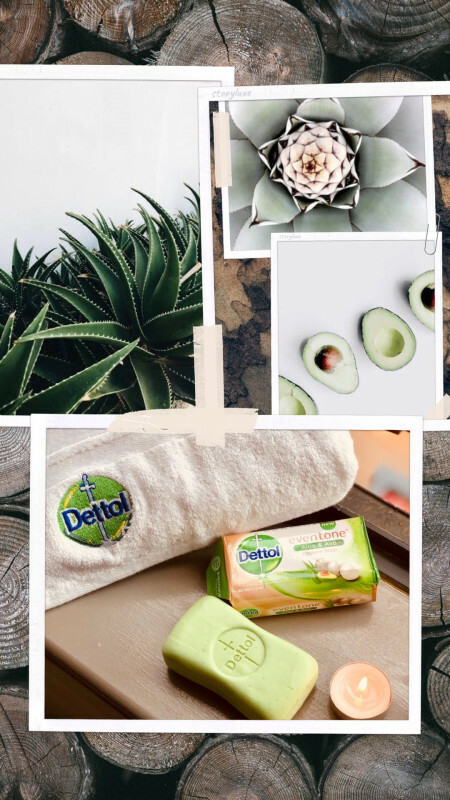 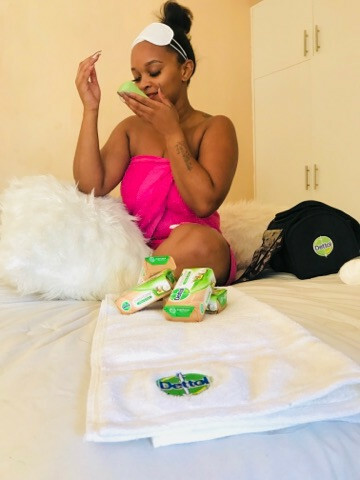 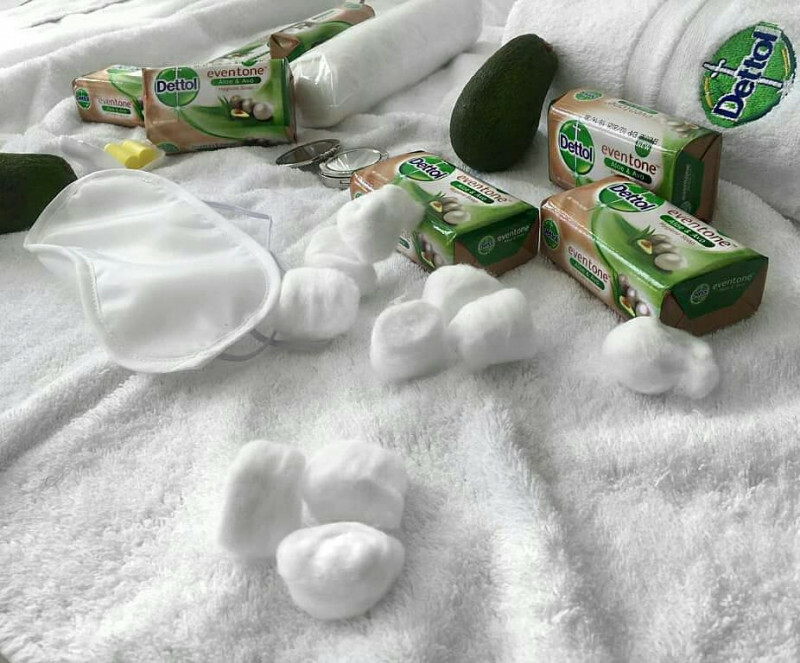 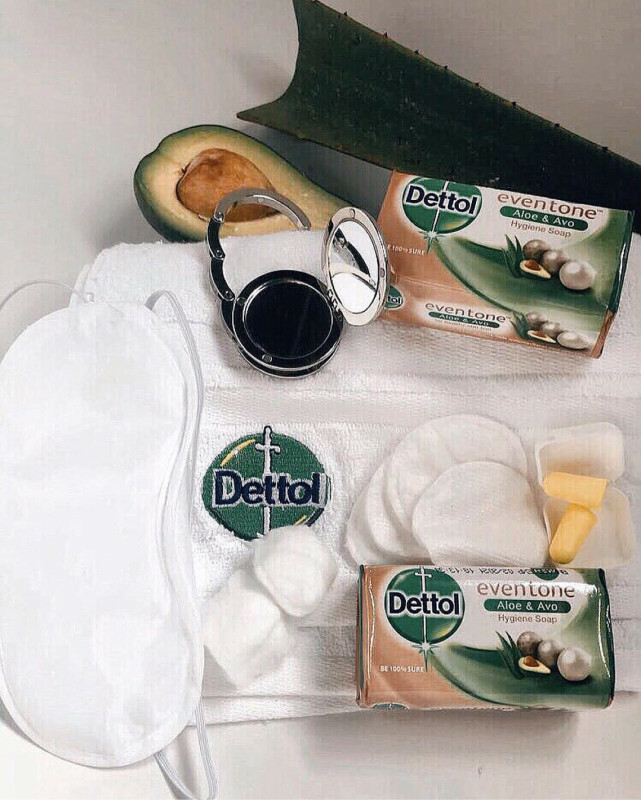 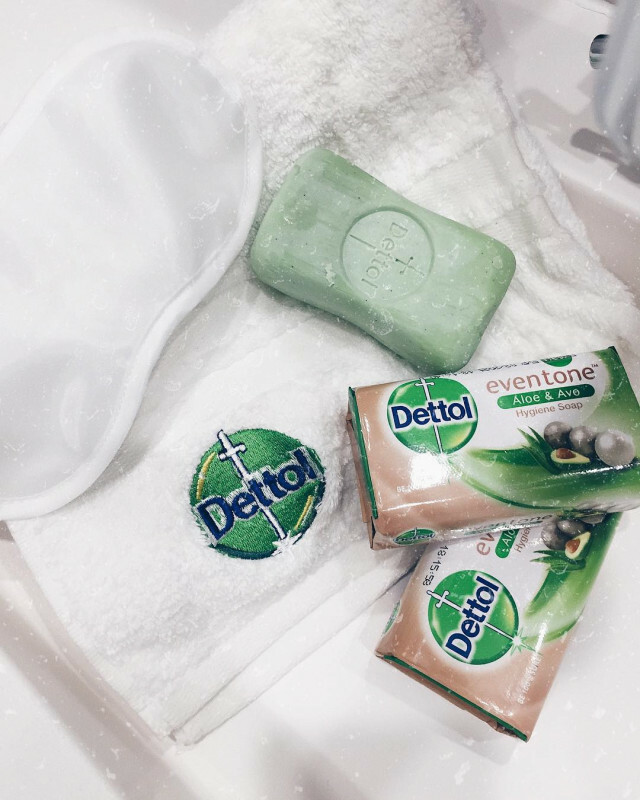 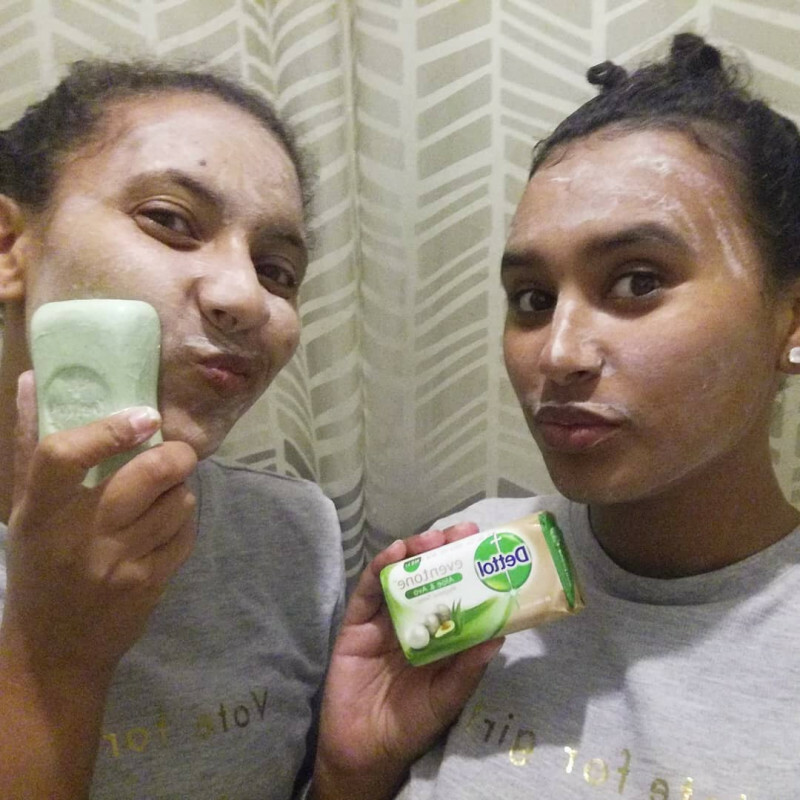 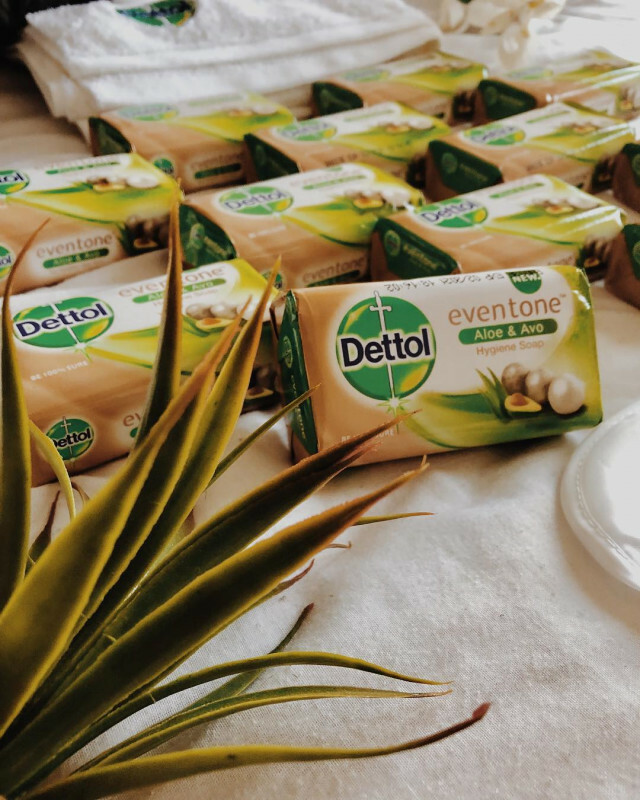 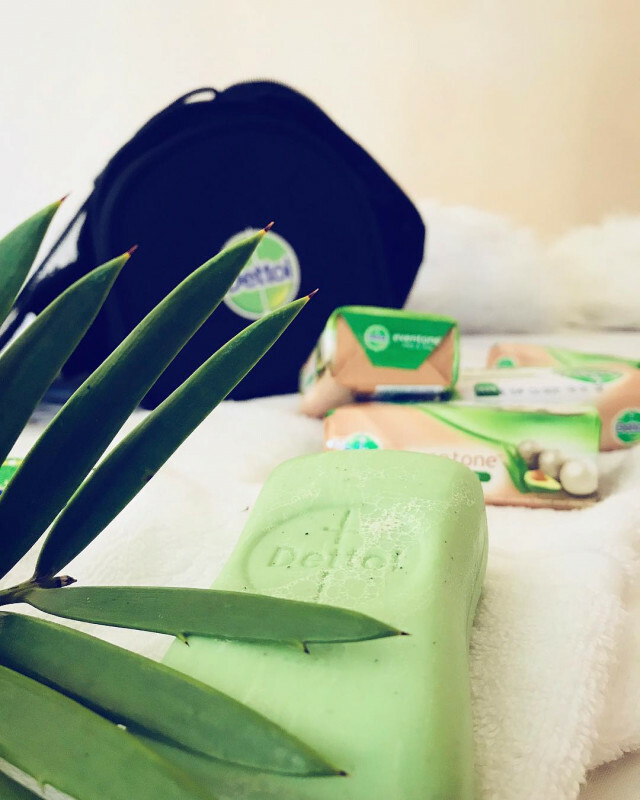 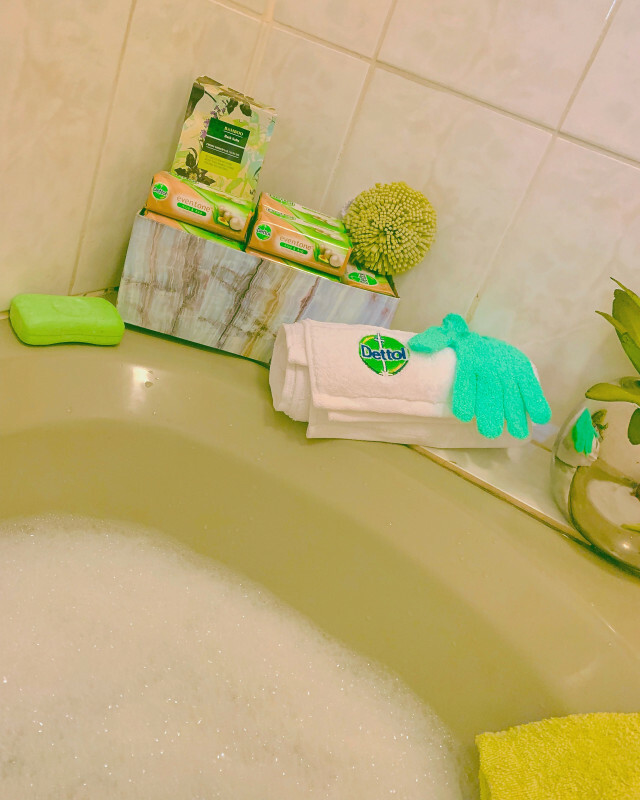 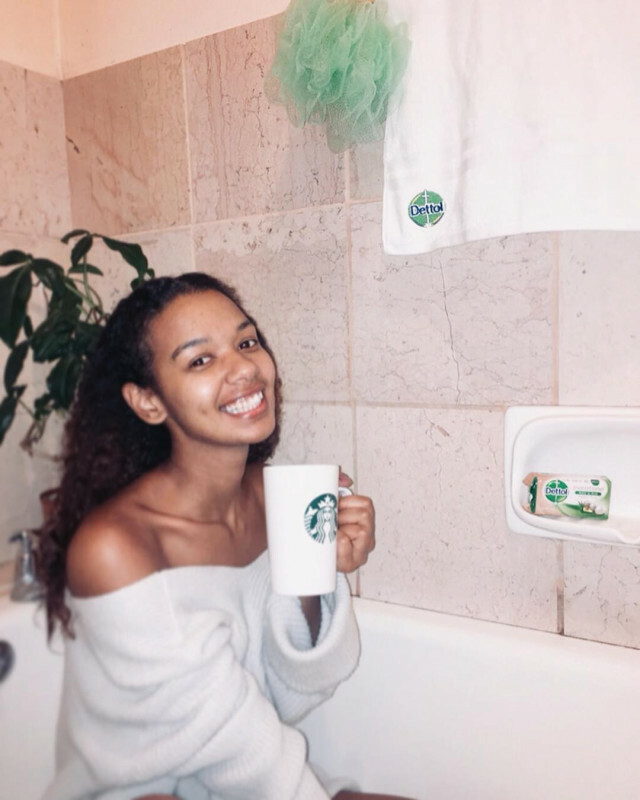 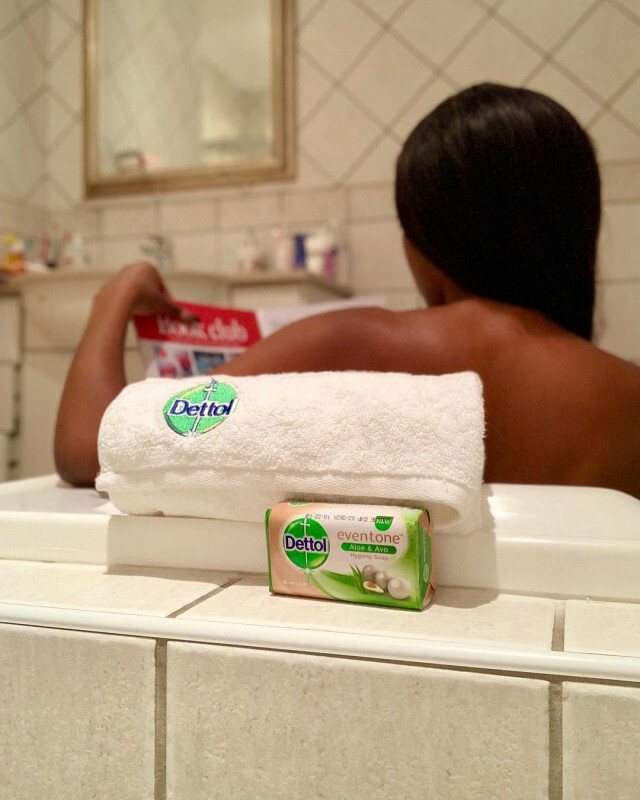 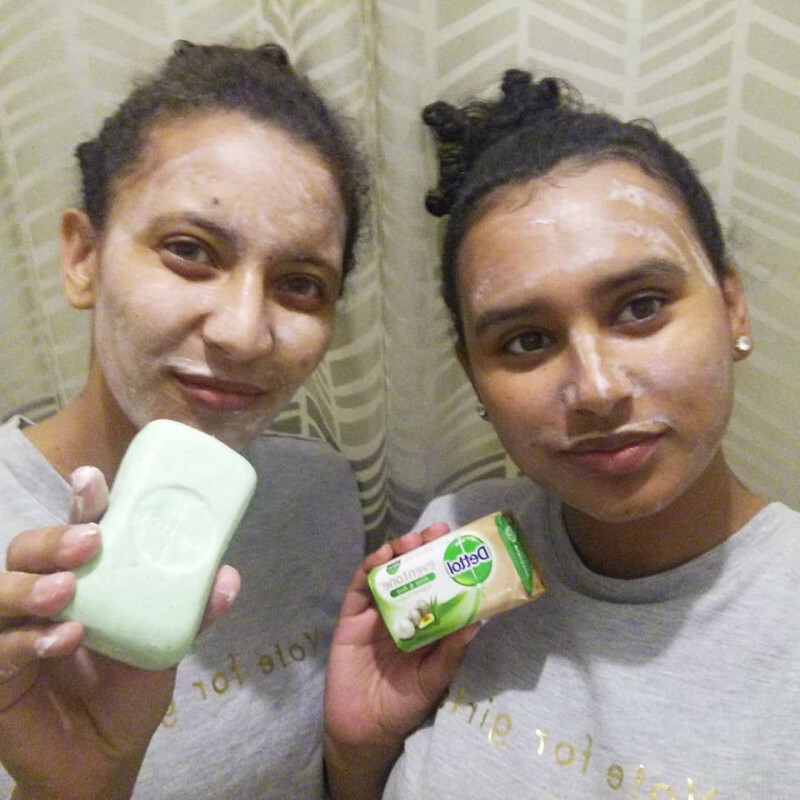 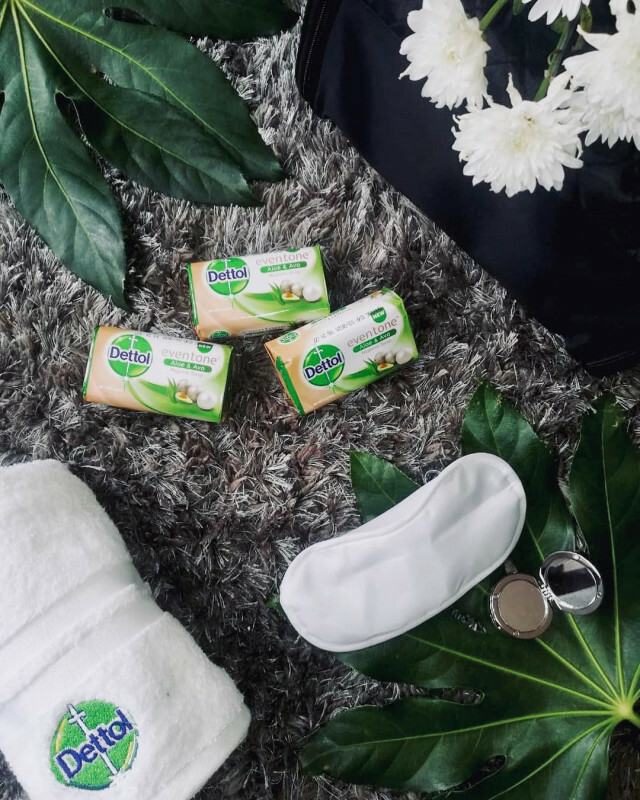 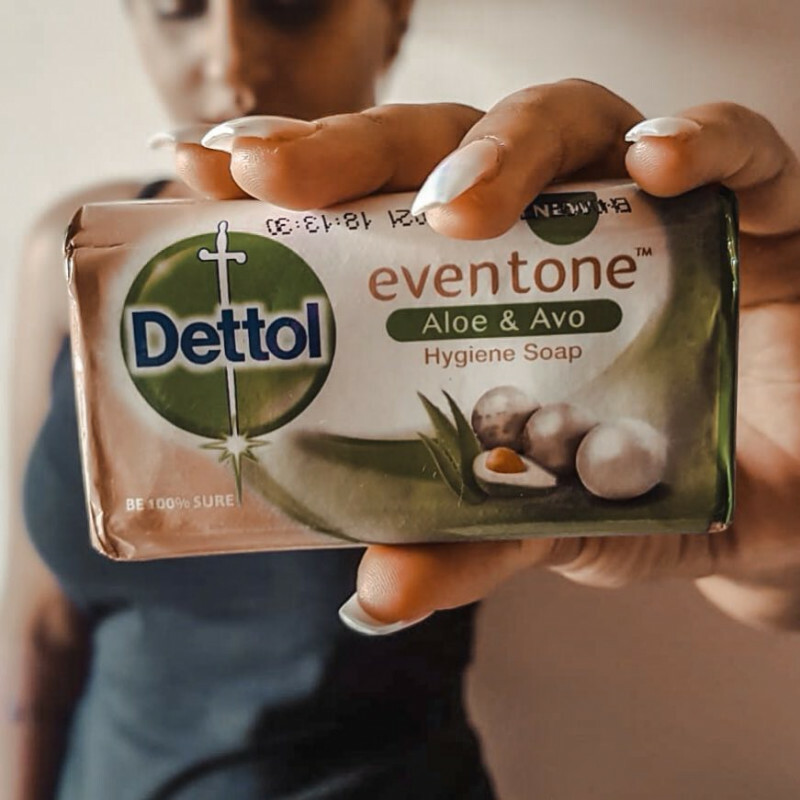 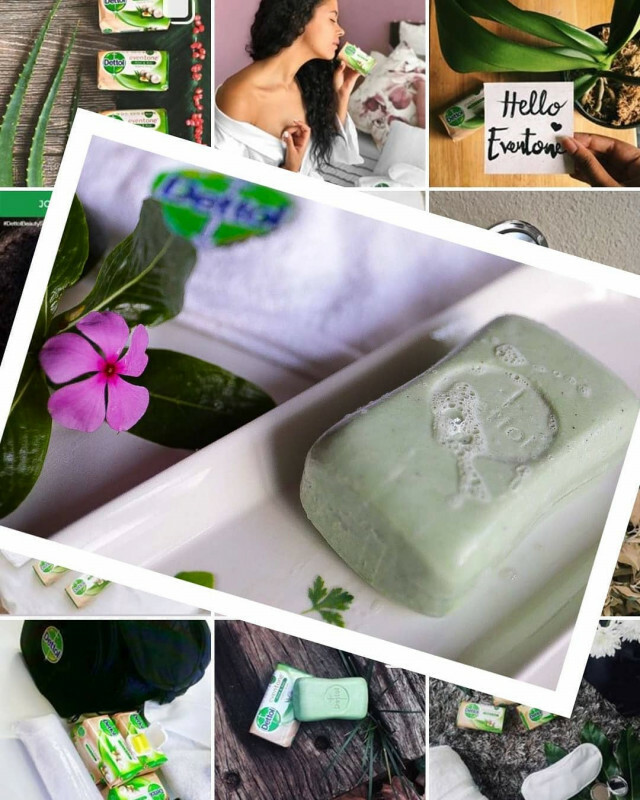 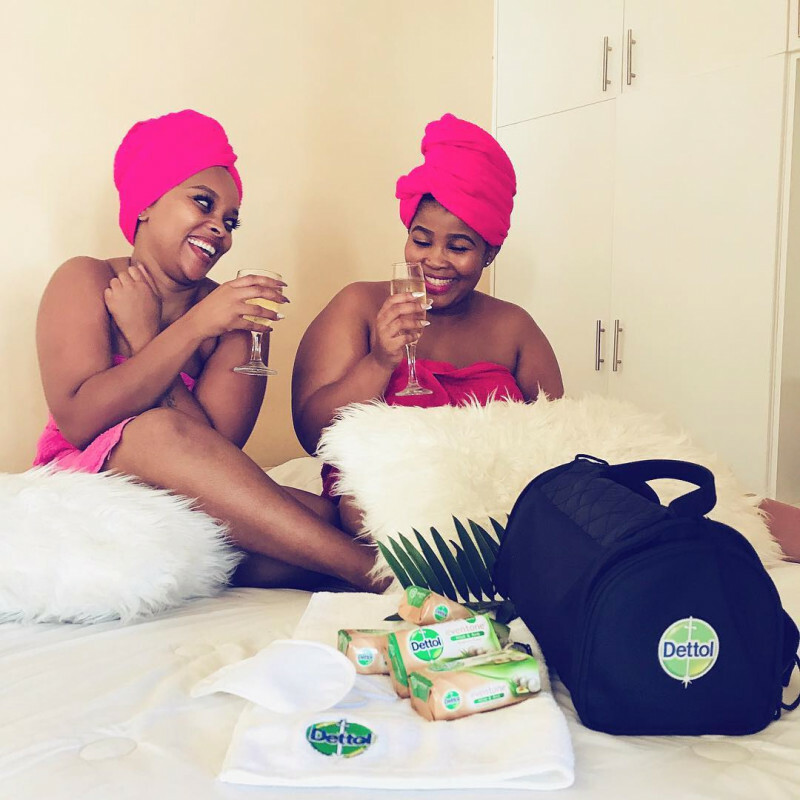 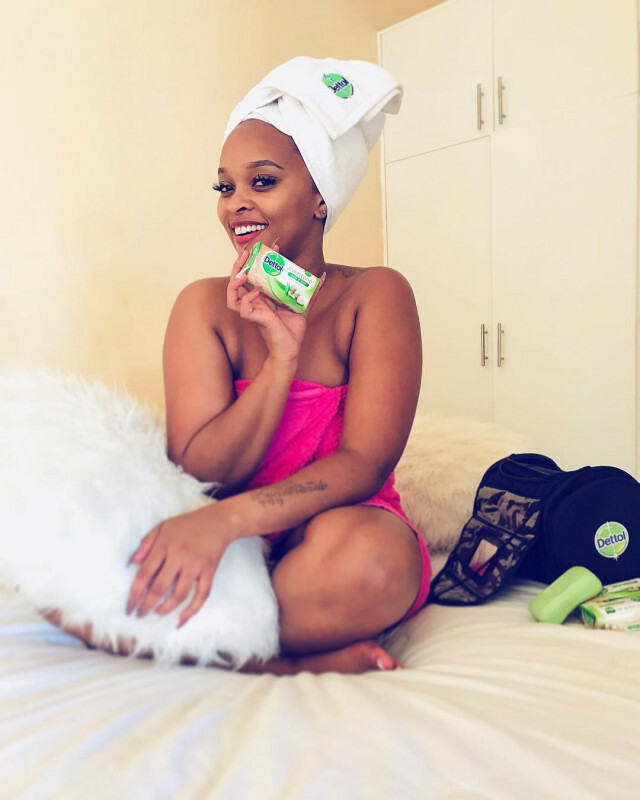 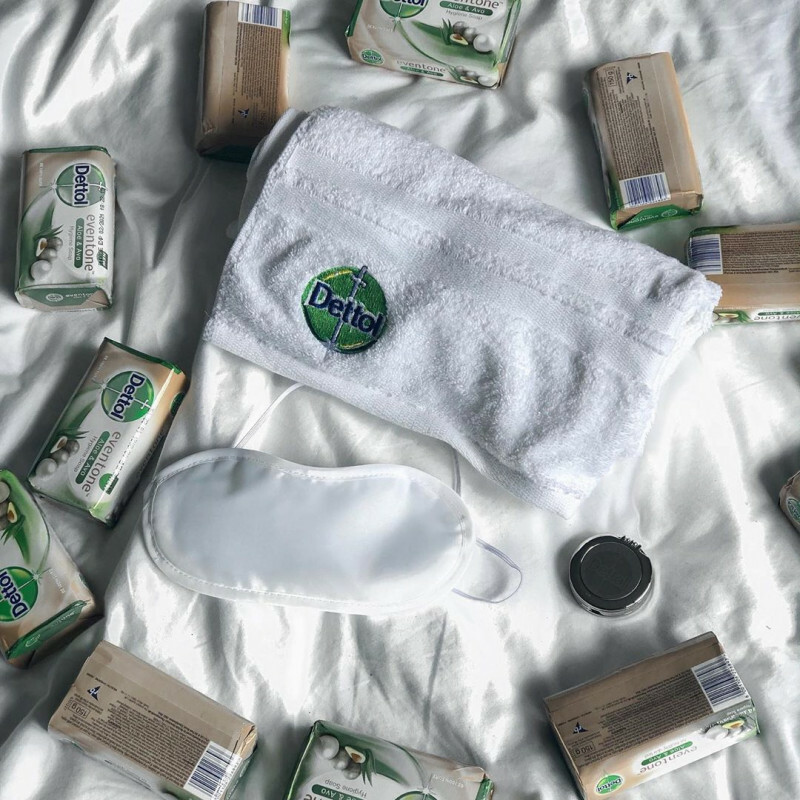 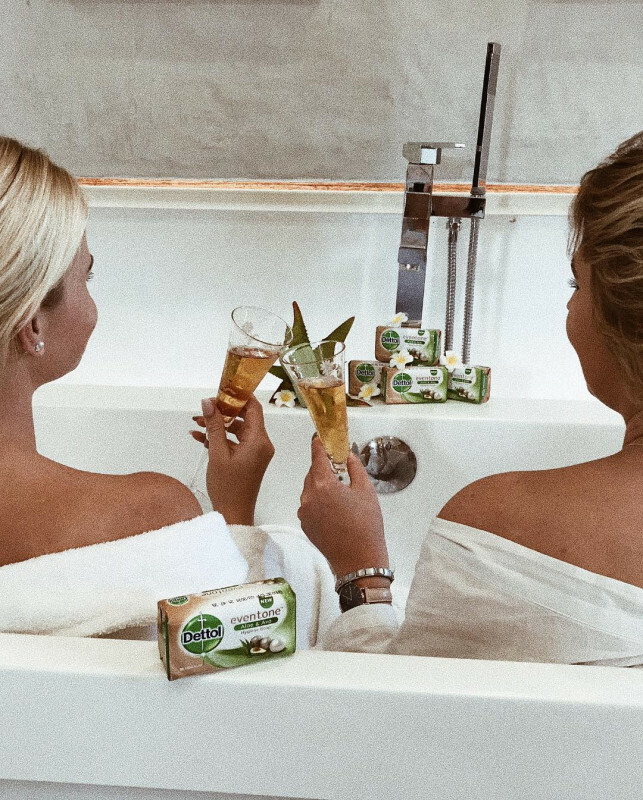 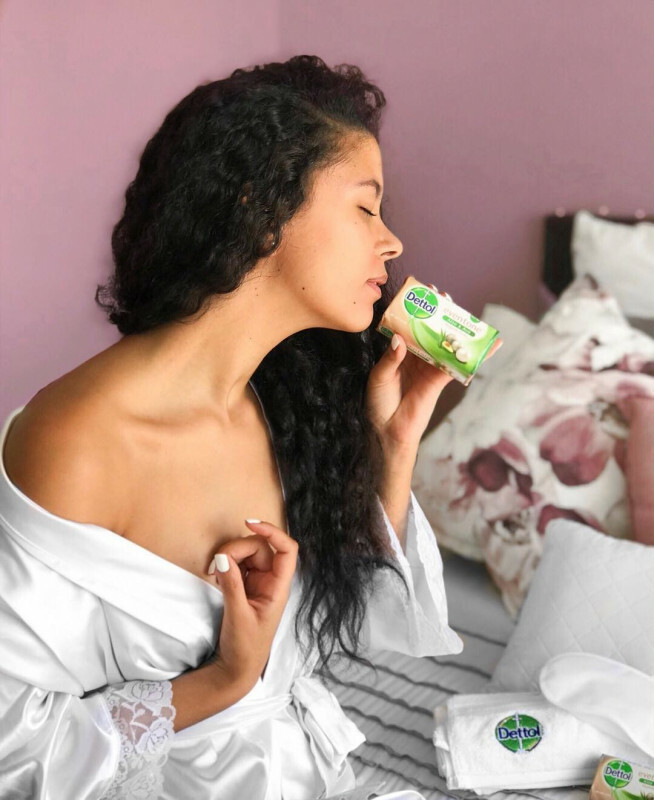 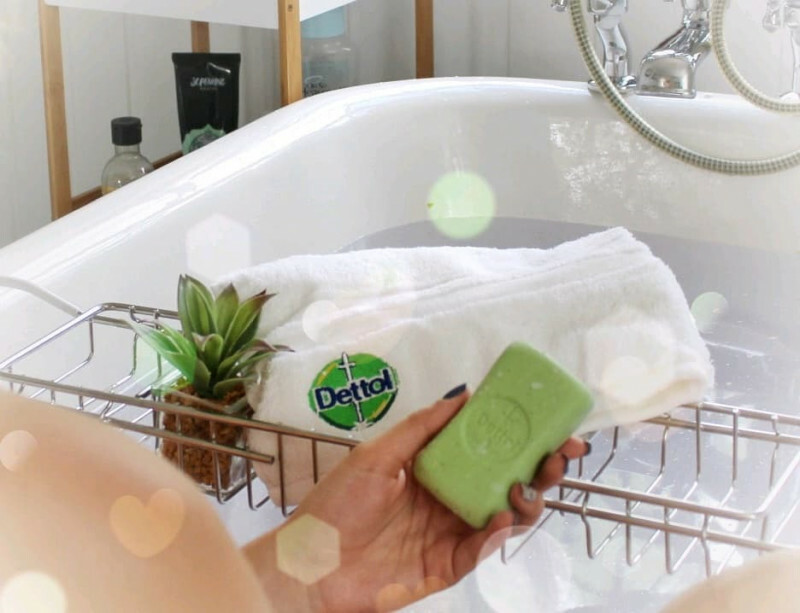 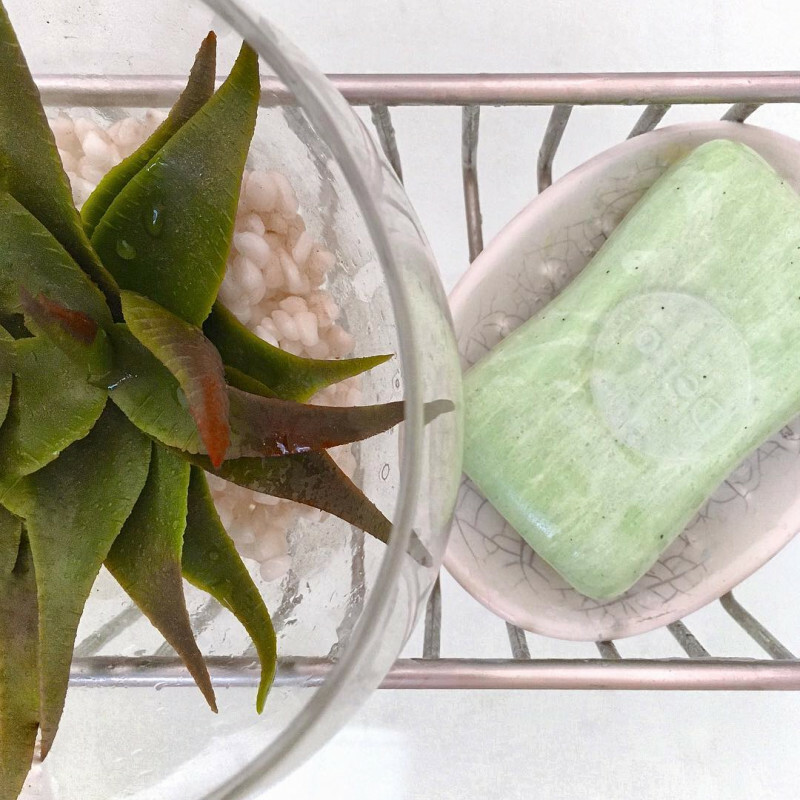 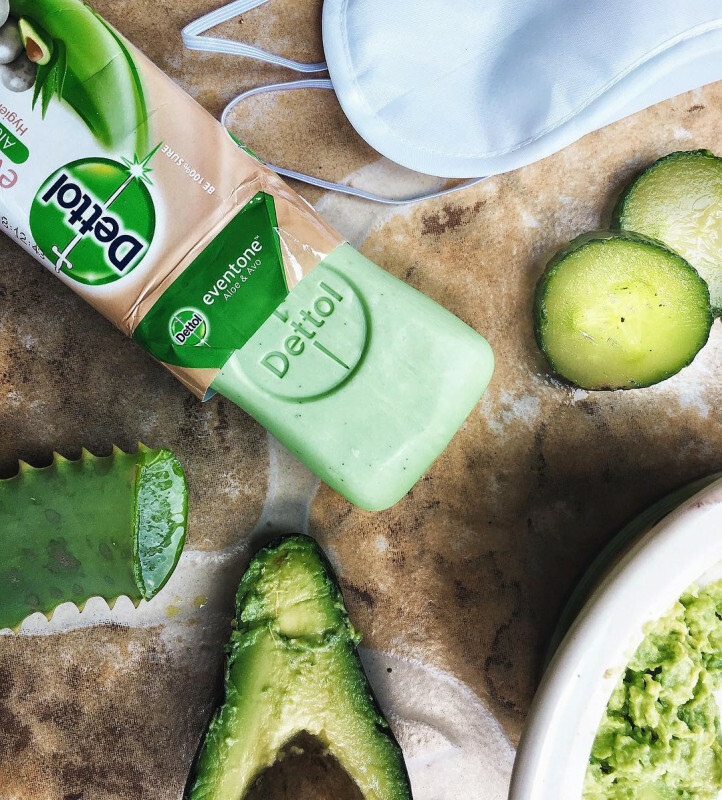 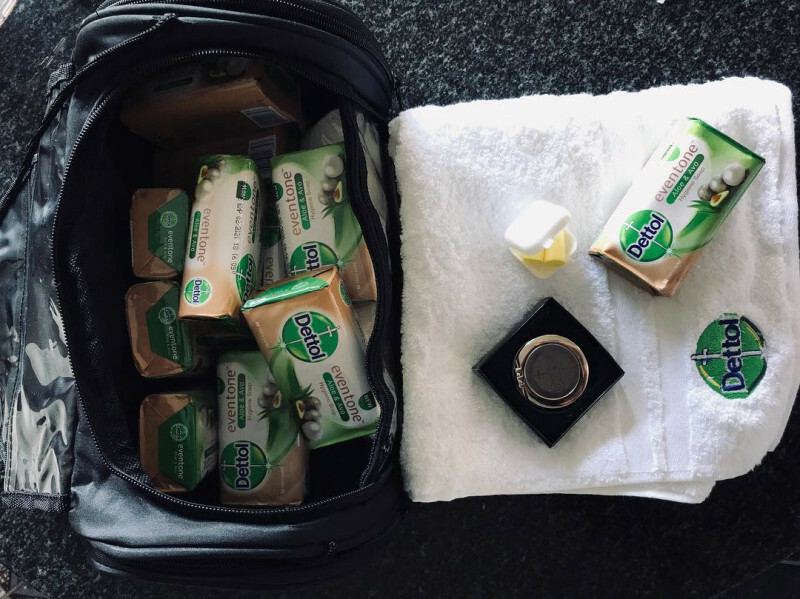 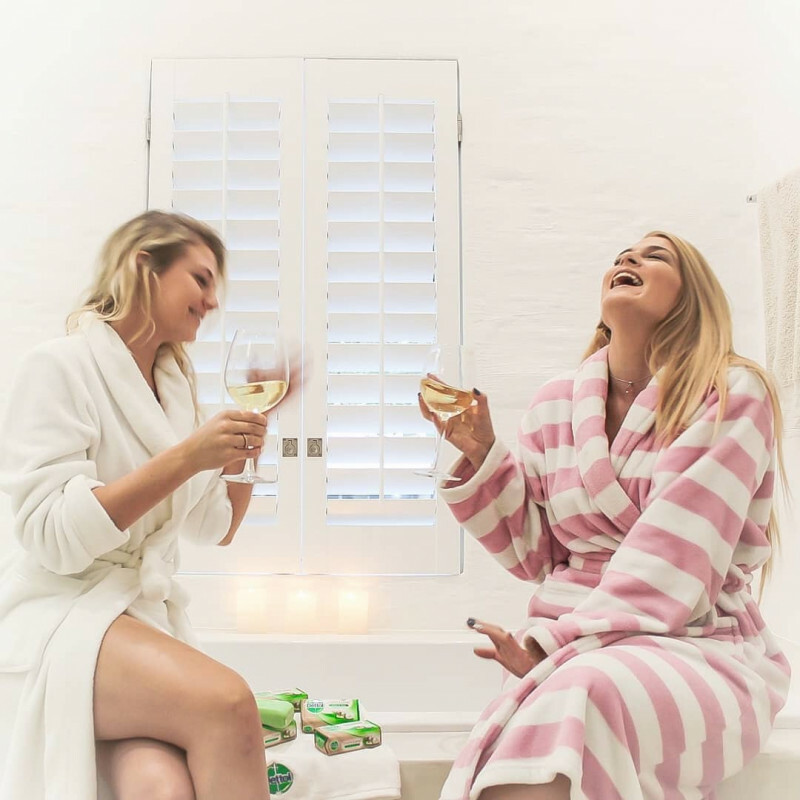 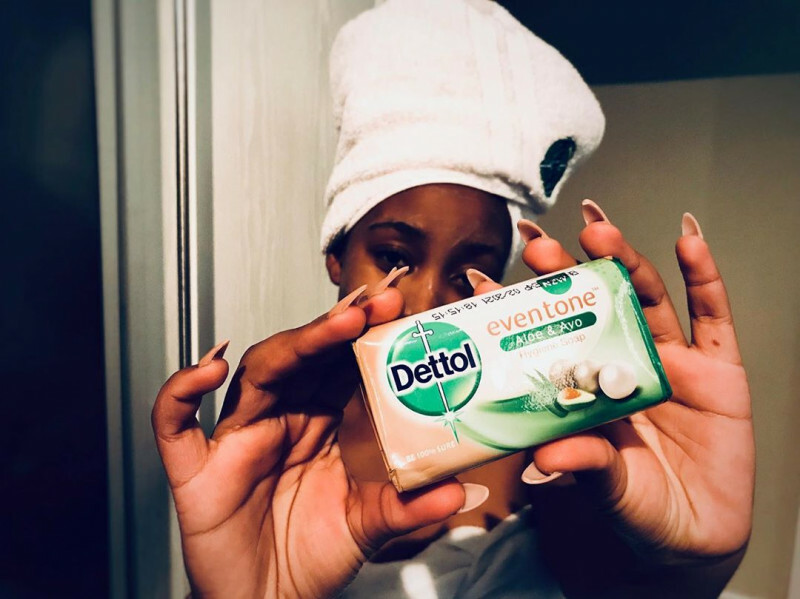 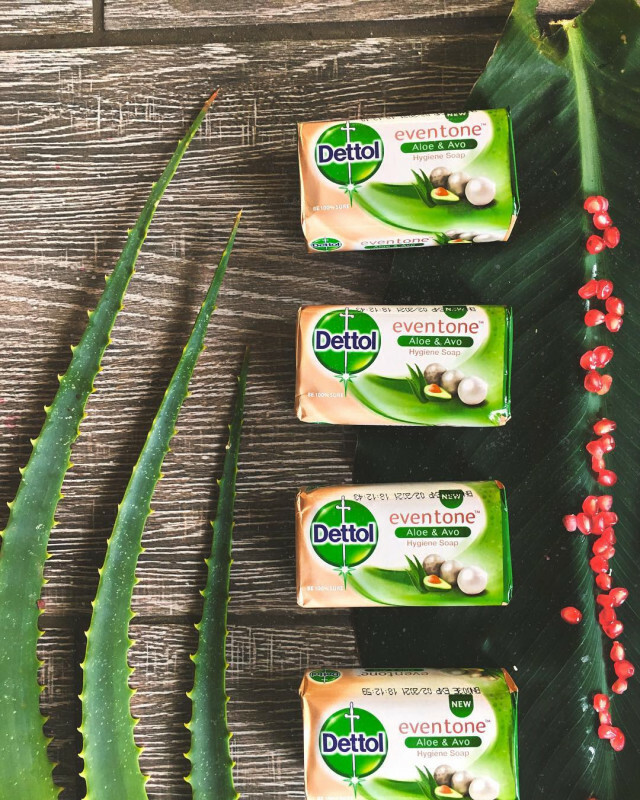 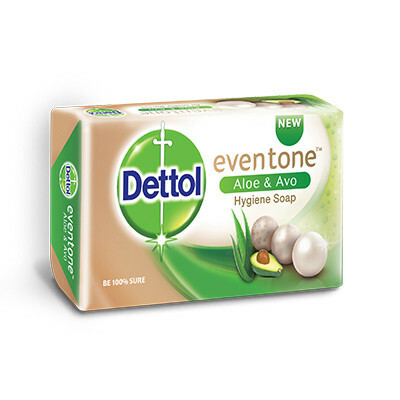 Dettol EvenTone™ Aloe & Avo is a luxurious hygiene bar packed with super fruits and botanical extracts. 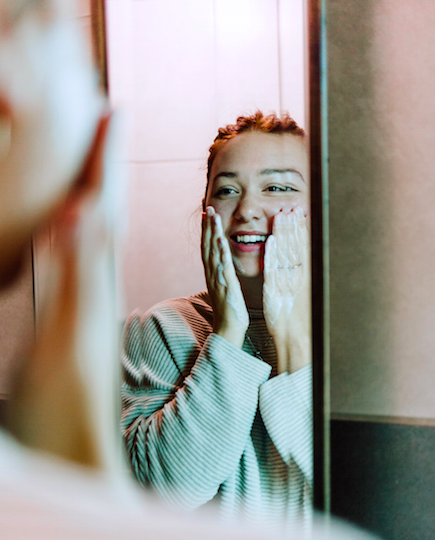 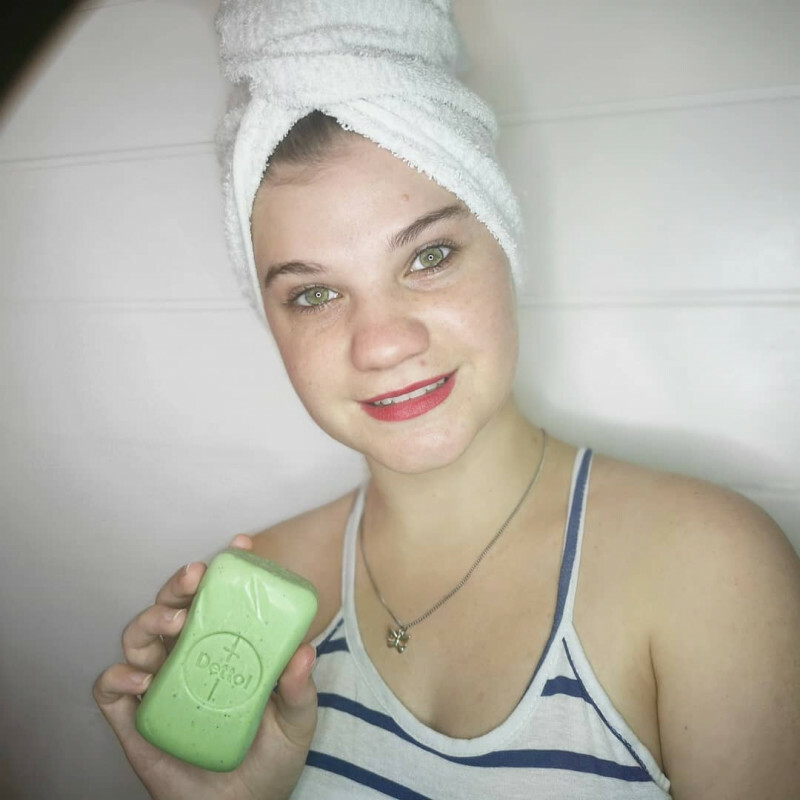 It’s powerful germ-fighting formula and gentle ingredients wash away blemish-causing oil and dirt. 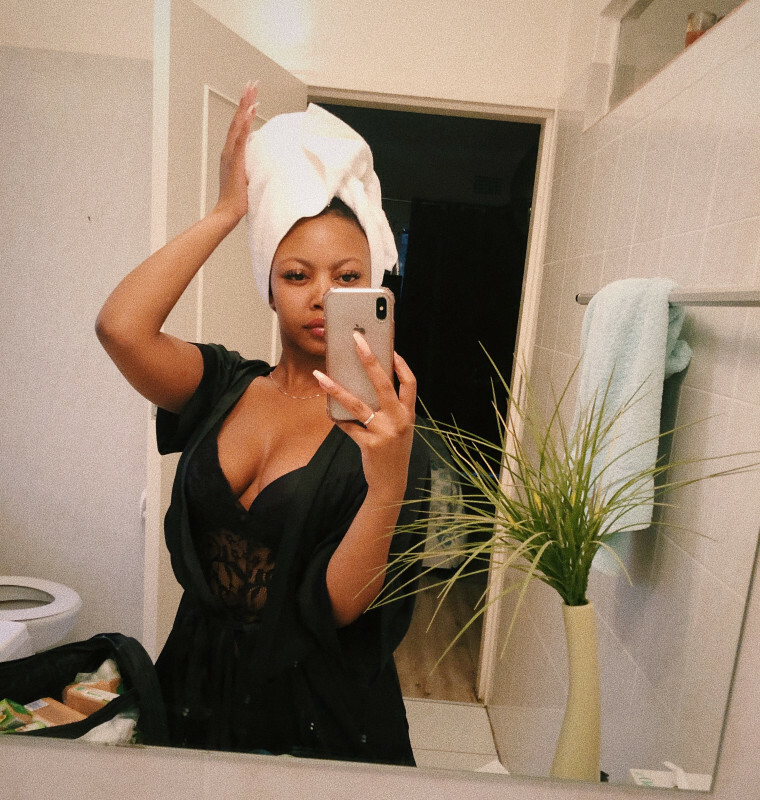 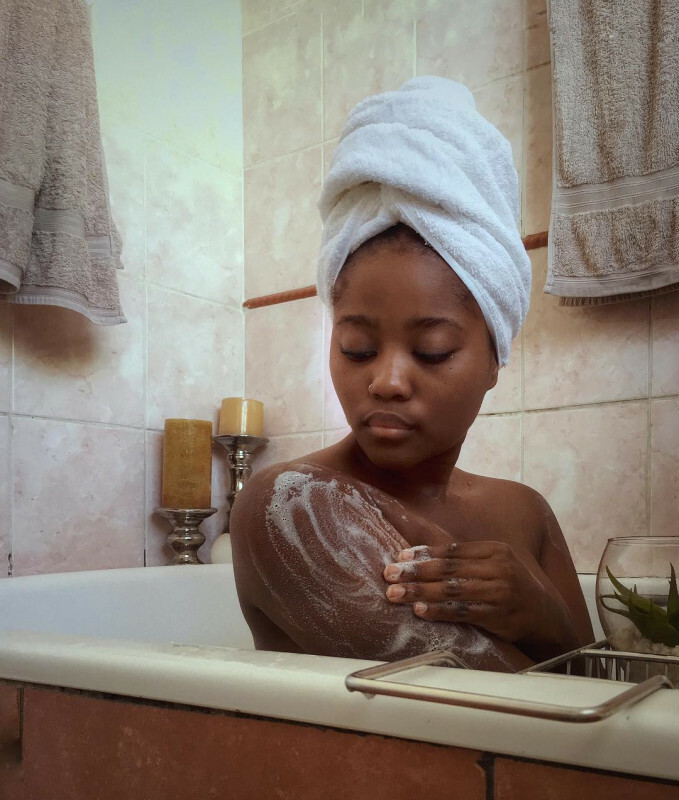 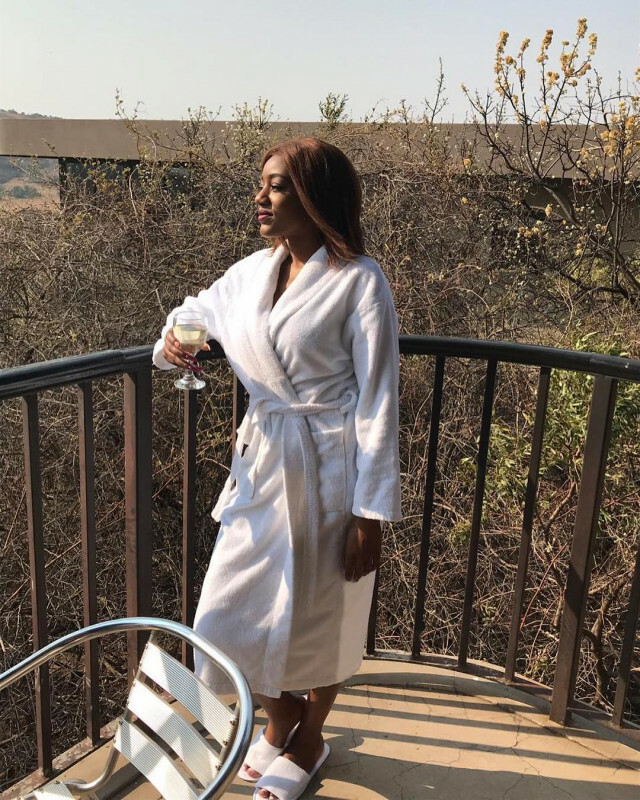 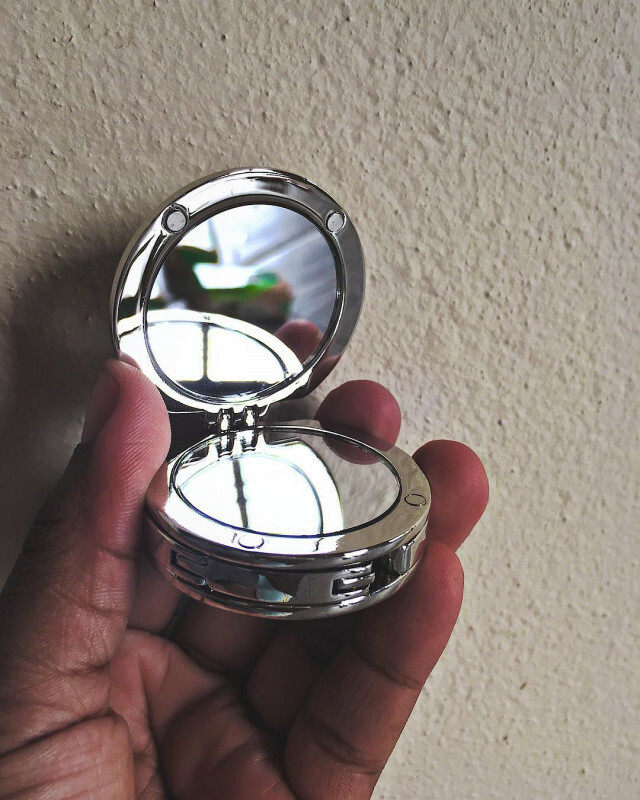 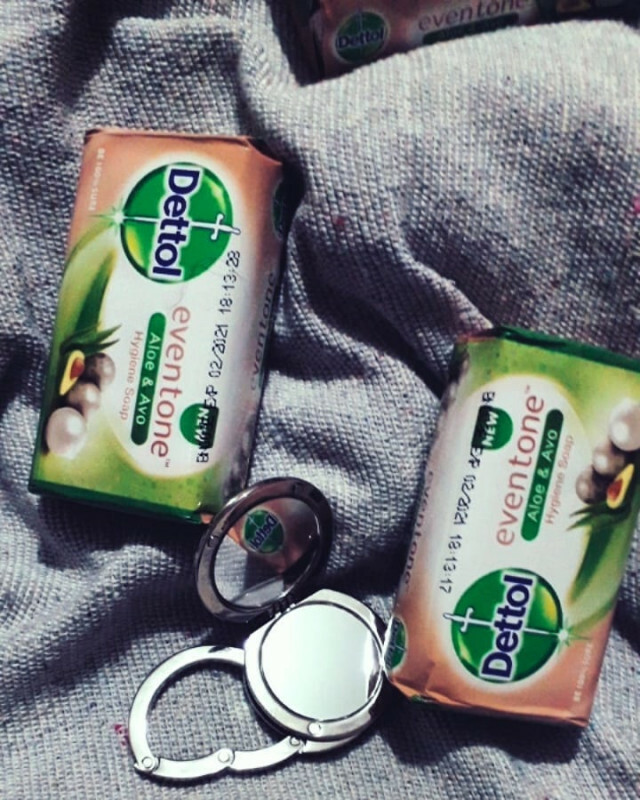 Use it on your face to leave your complexion looking even, moisturised, and clear. 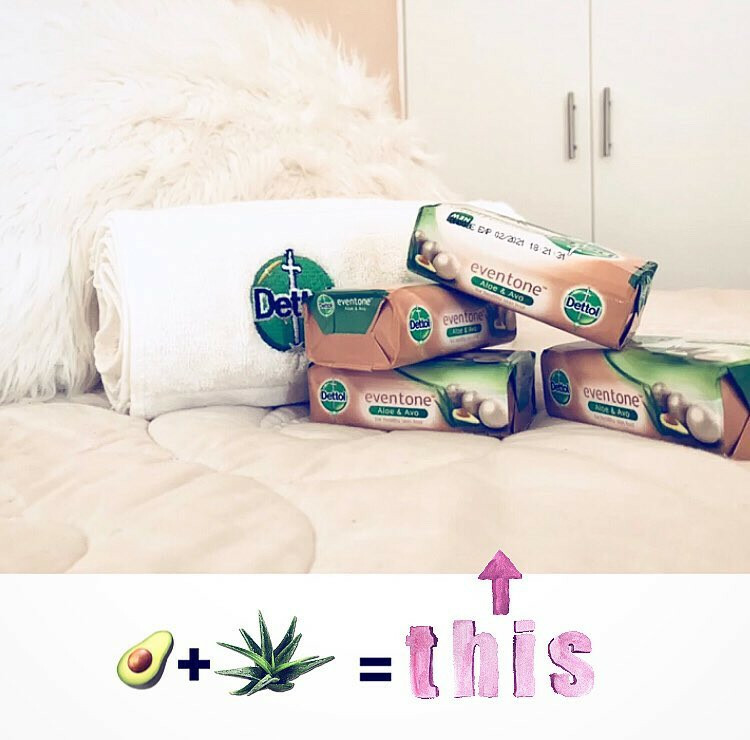 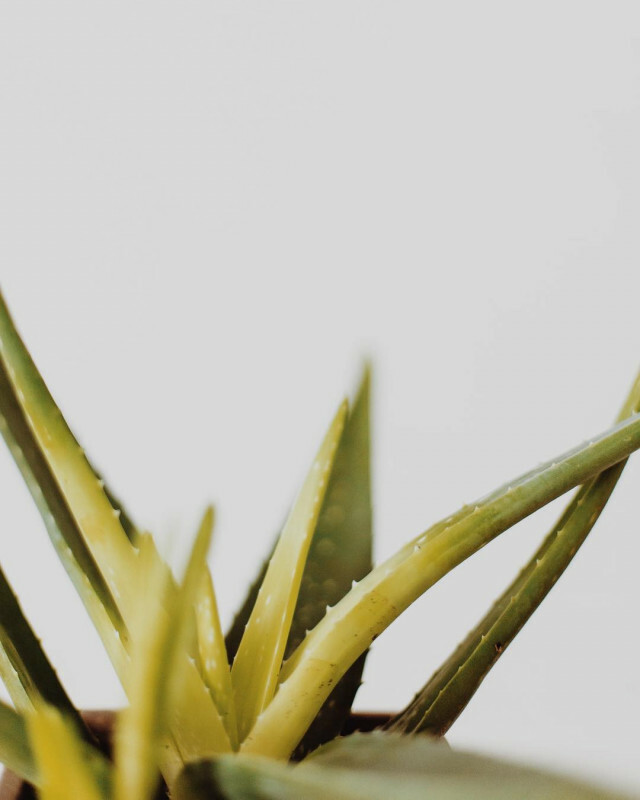 This amazing new product on the shelves is nothing less than what is expected of it, considering the natural ingredients included. 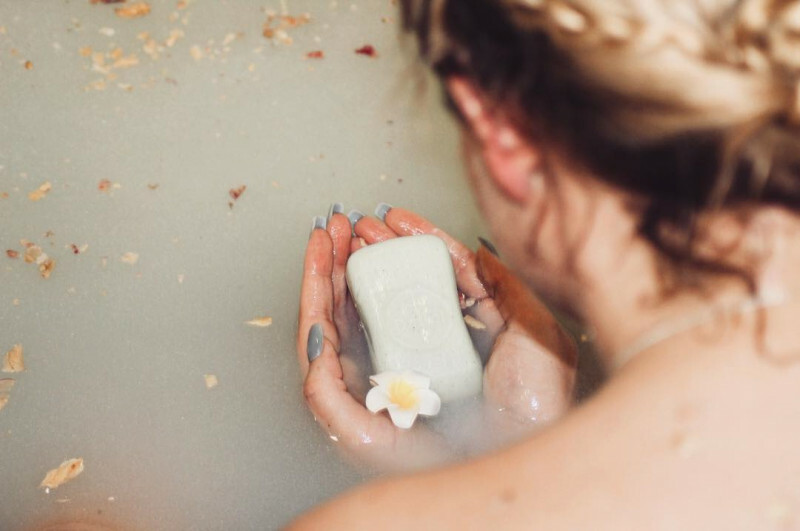 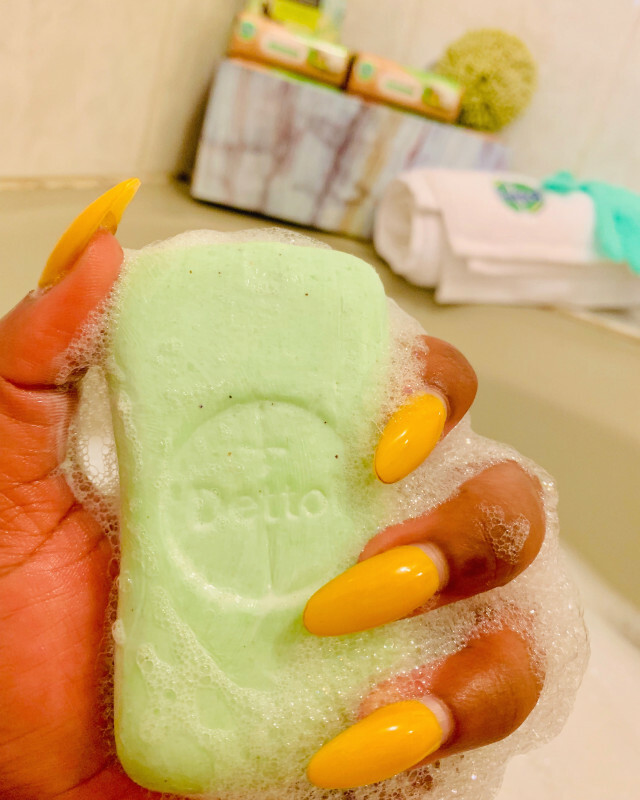 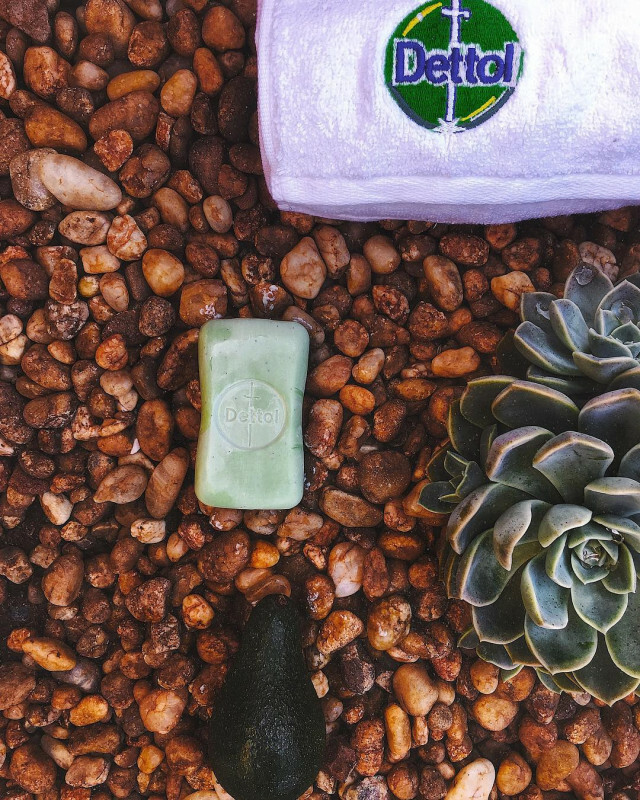 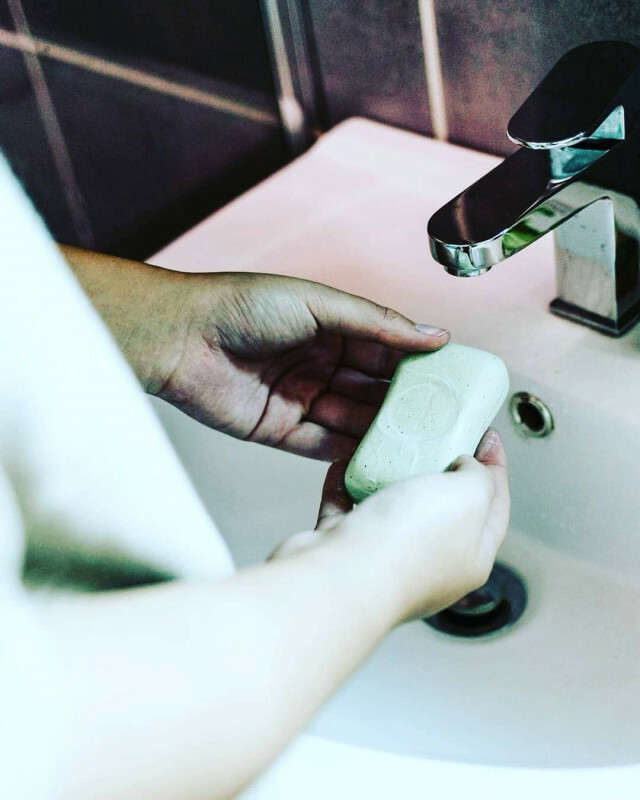 The experience of using this soap for the past two weeks has been nothing short of amazing, from the vibrant smell, to its natural green look, and the mini granules in the soap to help with exfoliation. 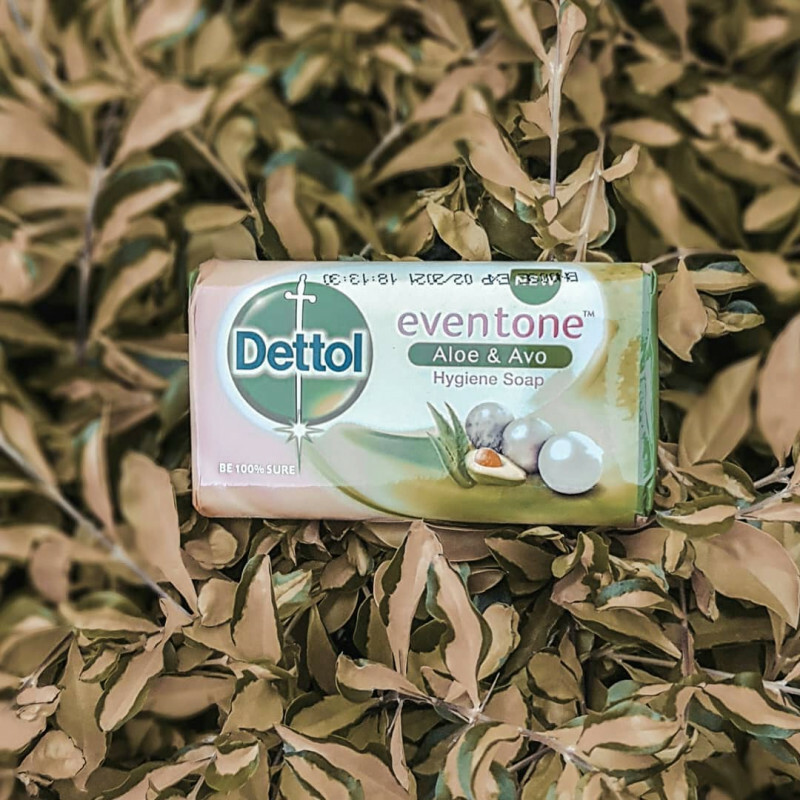 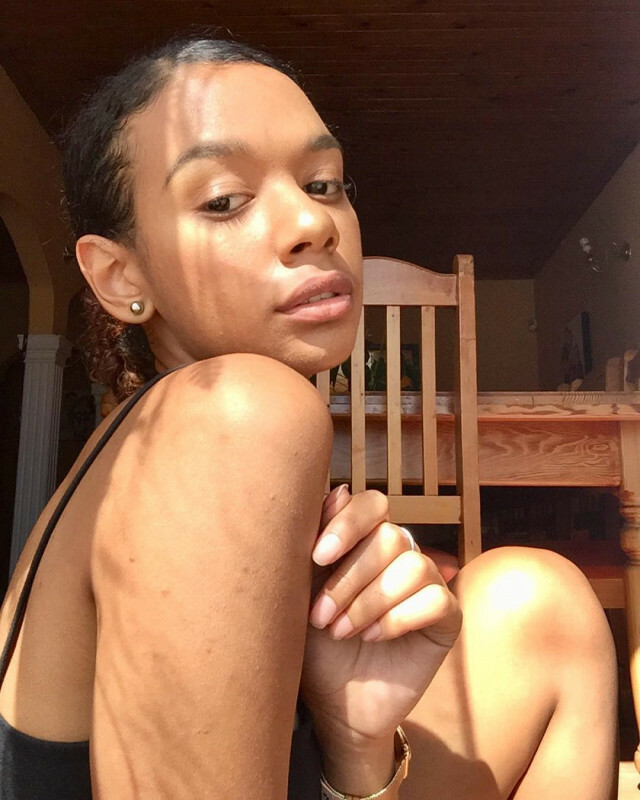 My skin has been going through breakouts but after the two weeks of using the new Eventone, they have managed to decrease and clear out, keeping my skin smooth. 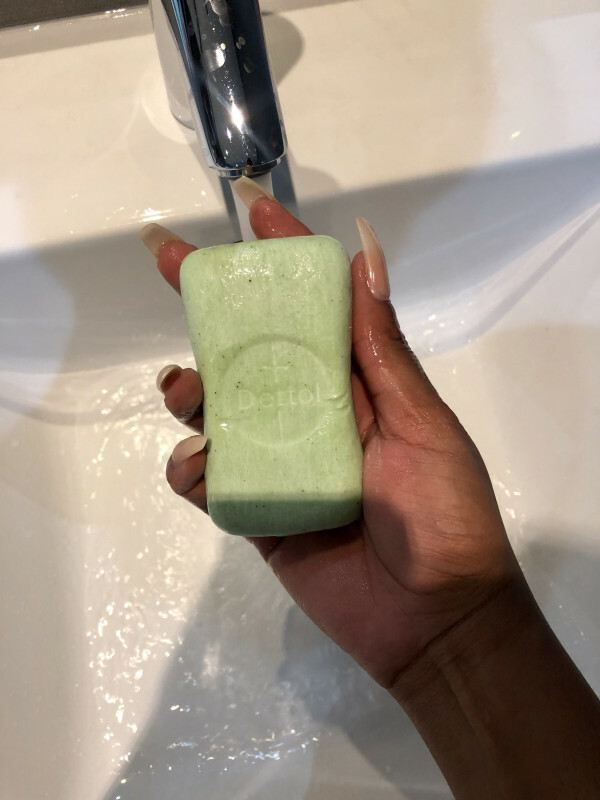 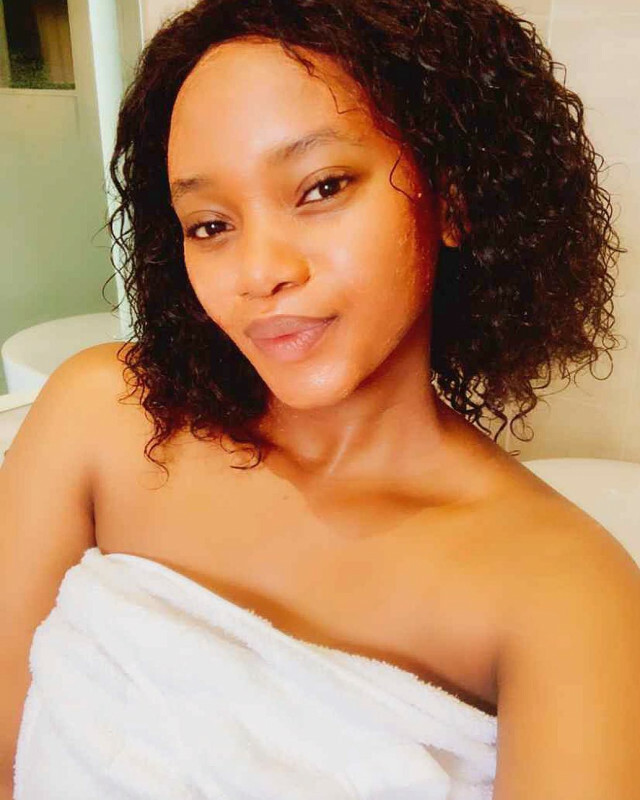 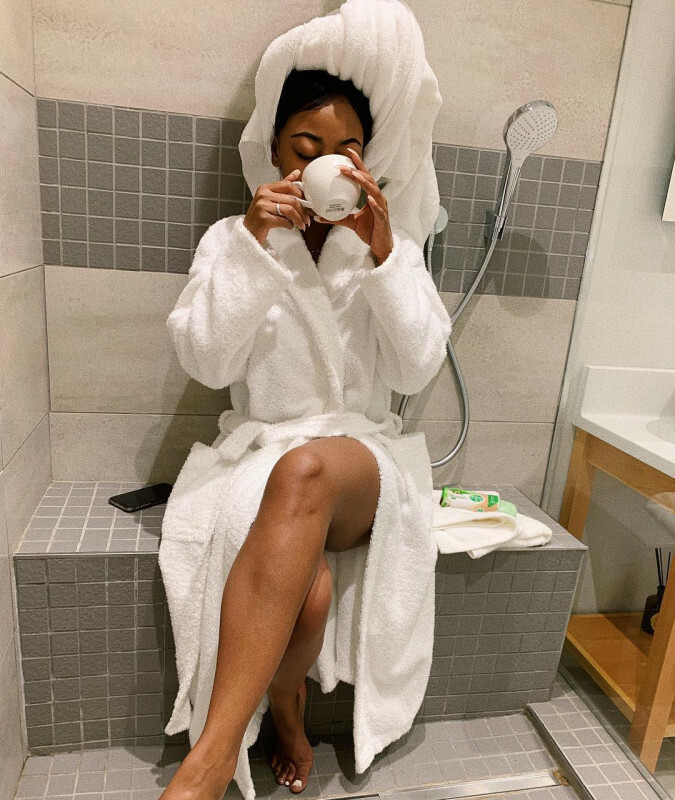 Although, the soap is meant to hydrate the skin I found it drying out my skin abit but that is nothing that your lotion cannot fix. 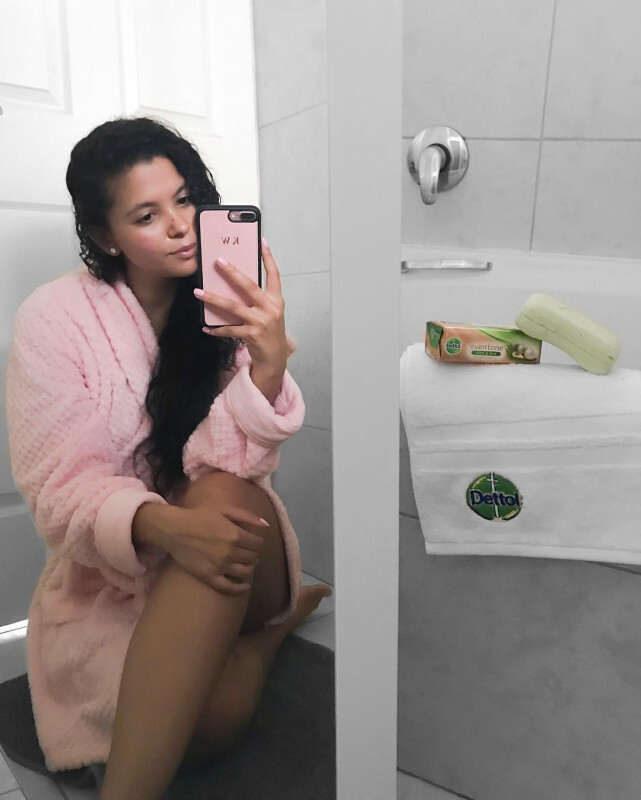 It has been an overall wonderful experience and I have started to see the results and gotten even! 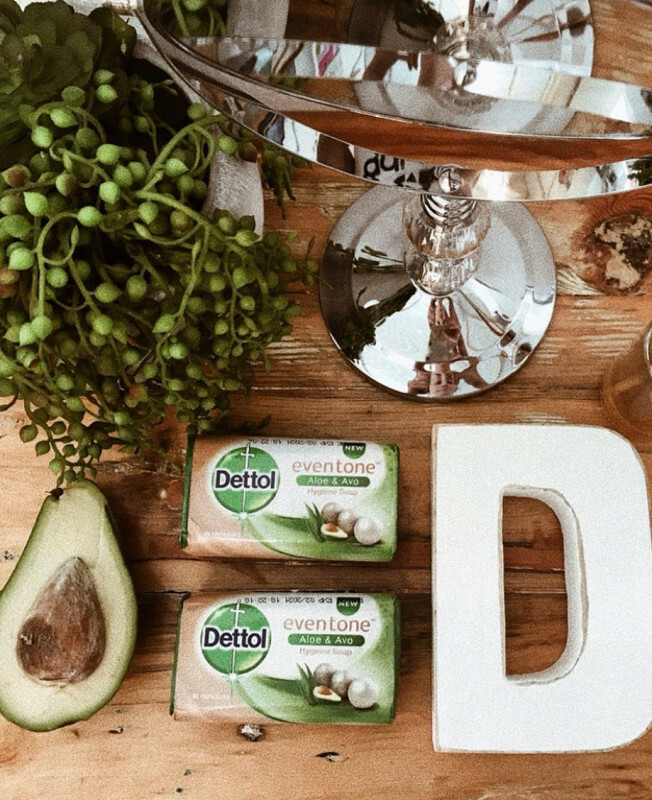 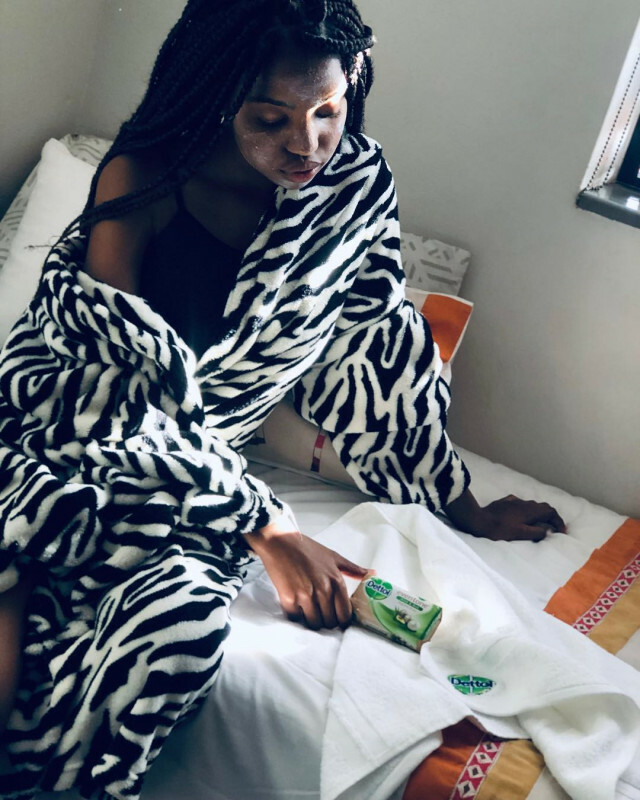 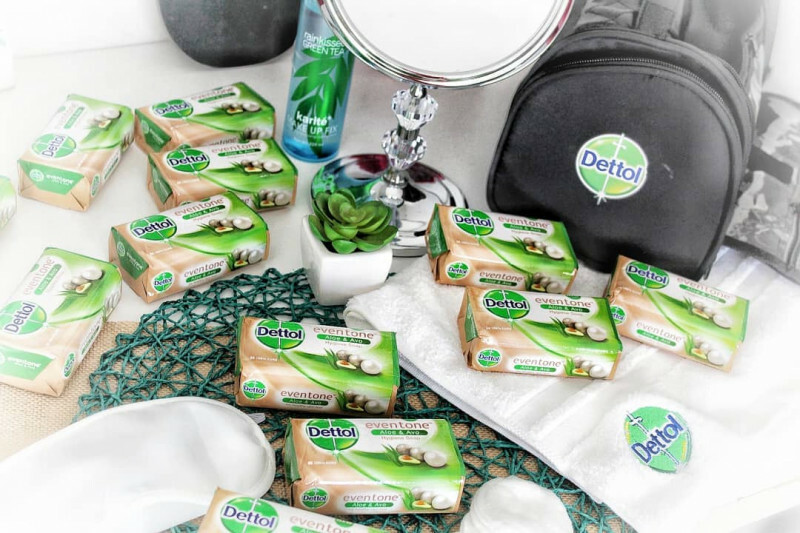 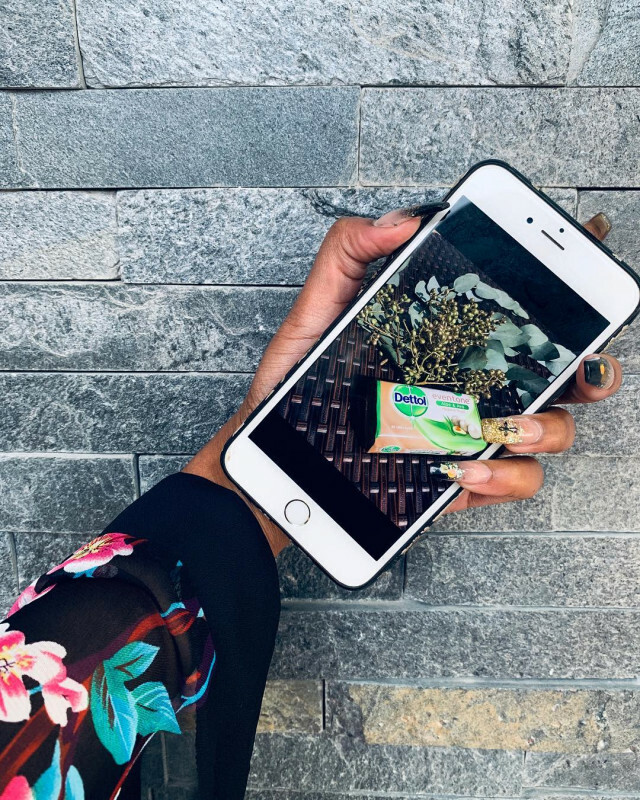 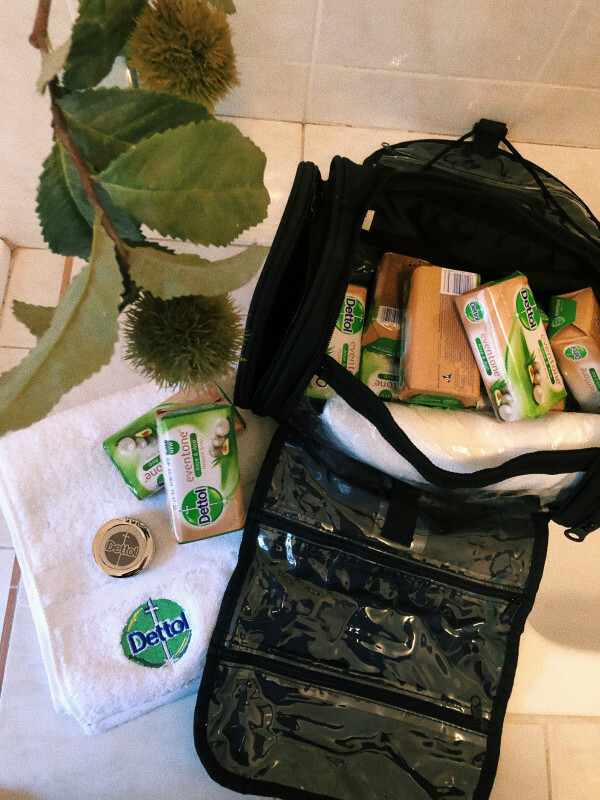 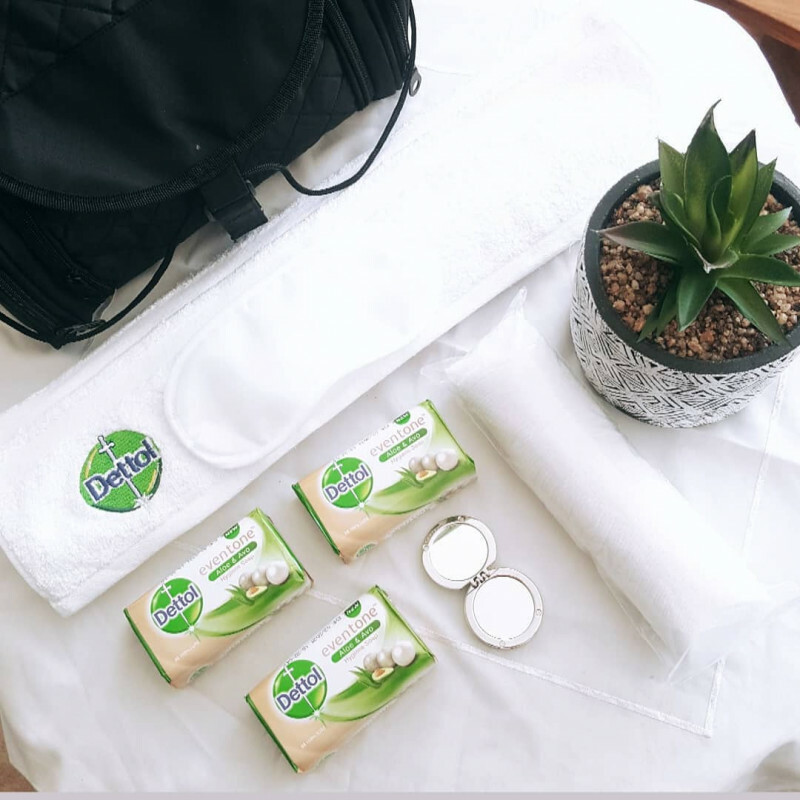 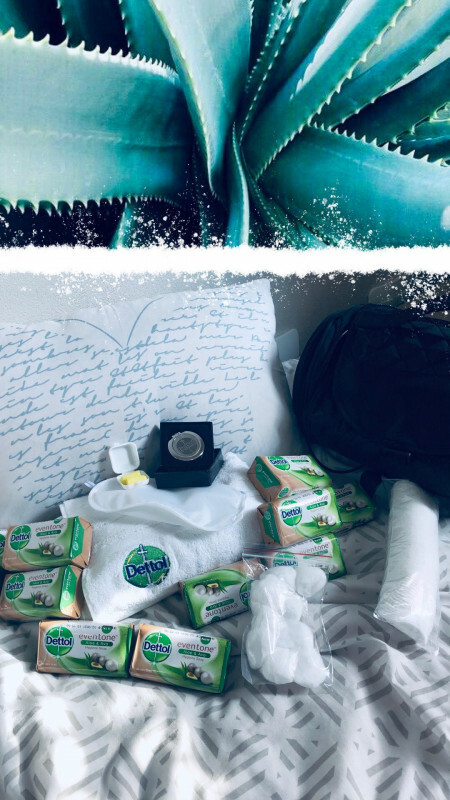 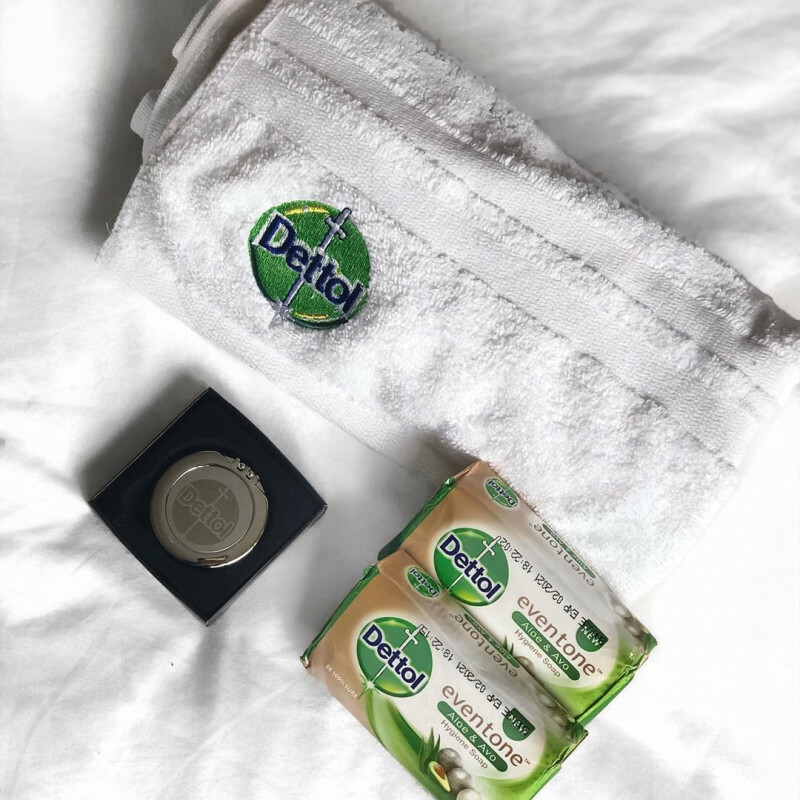 I'm totally loving the new Dettol eventone with avo and aloe. 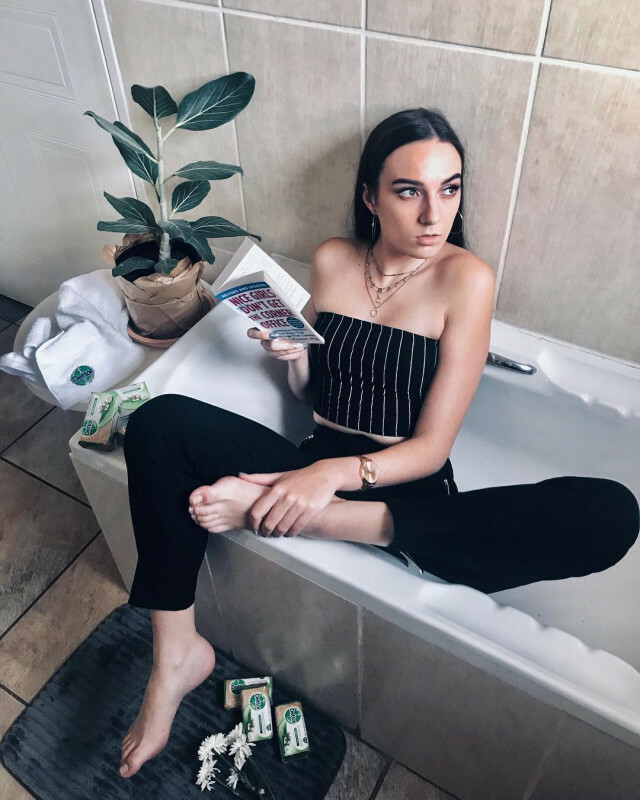 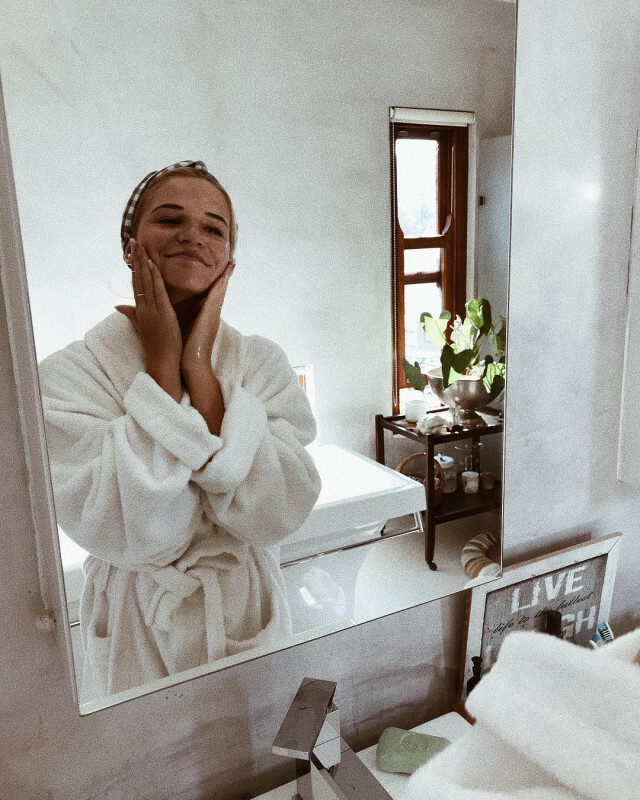 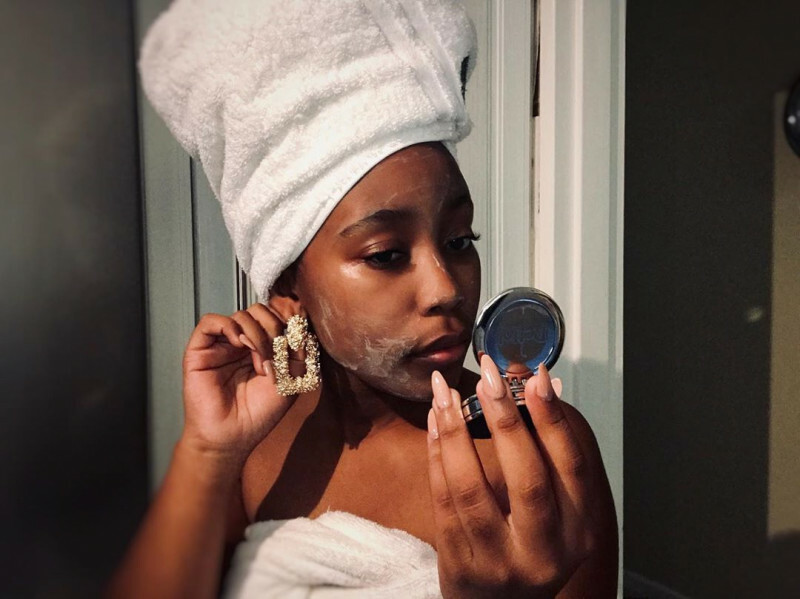 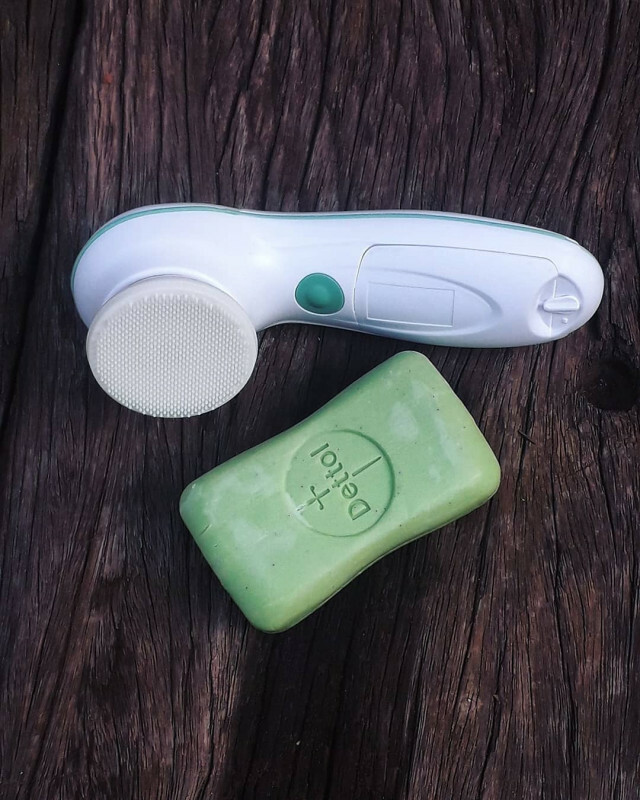 The small is about amazing and the soap have little granuals in which means I get a gentle exfoliation of my skin everyday. 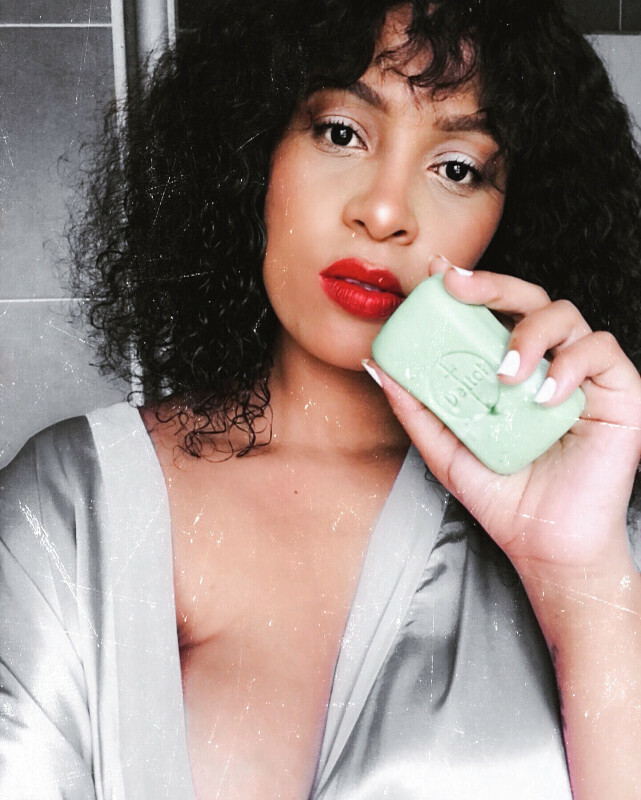 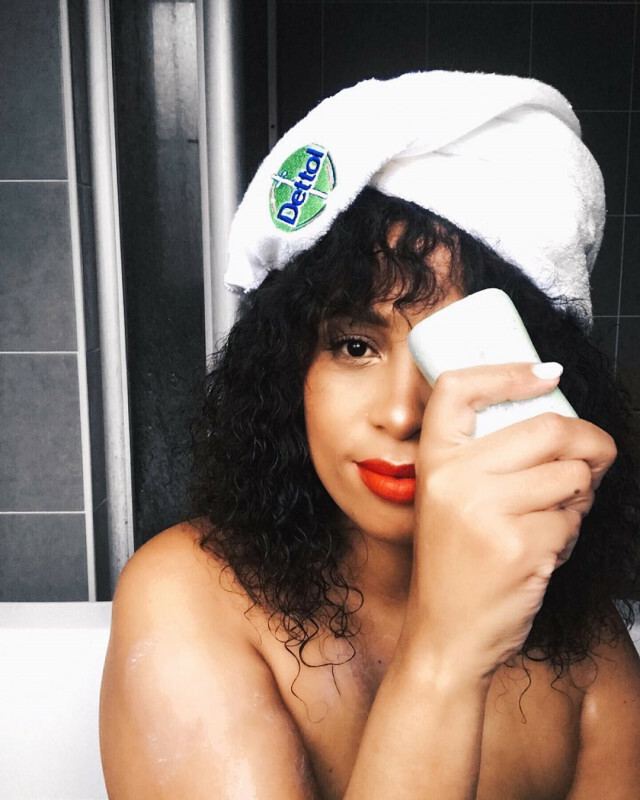 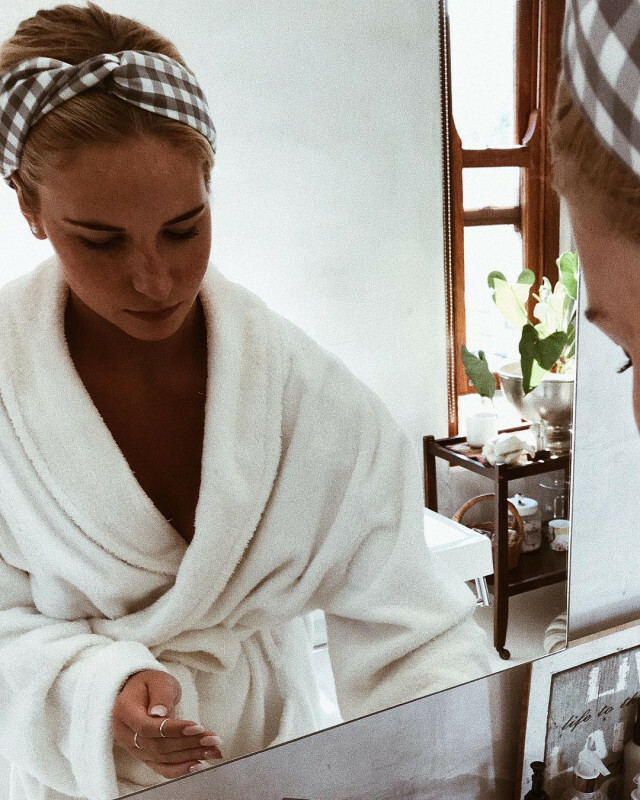 Winter dries my skin but this soap has been keeping my skin super soft smooth and even thanks to the amazing ingredients. 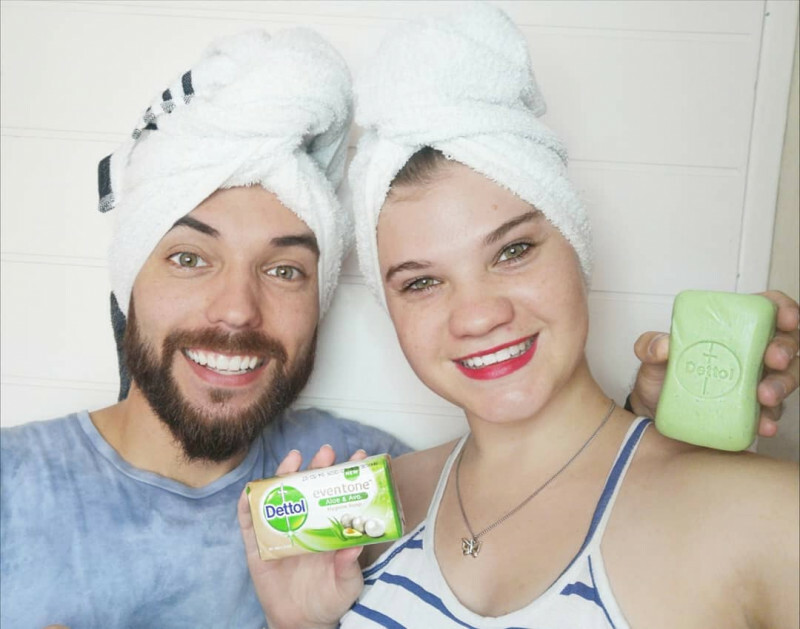 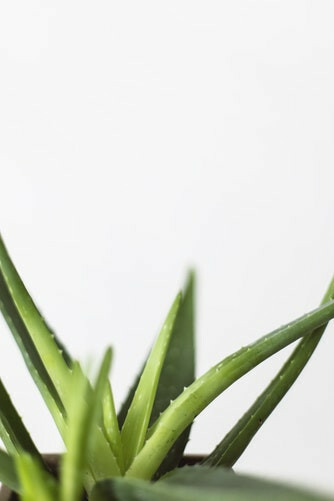 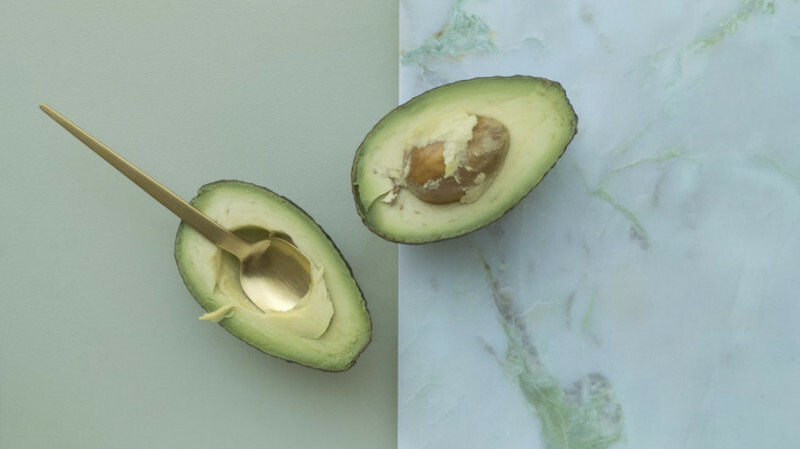 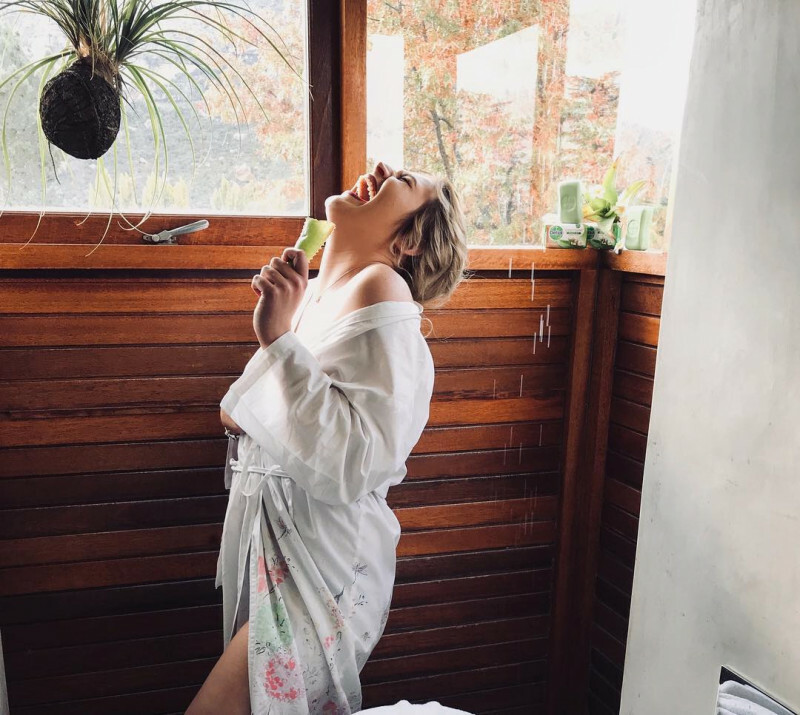 The health benifits of avo and aloe in my soap gets two big thumbs up from me! 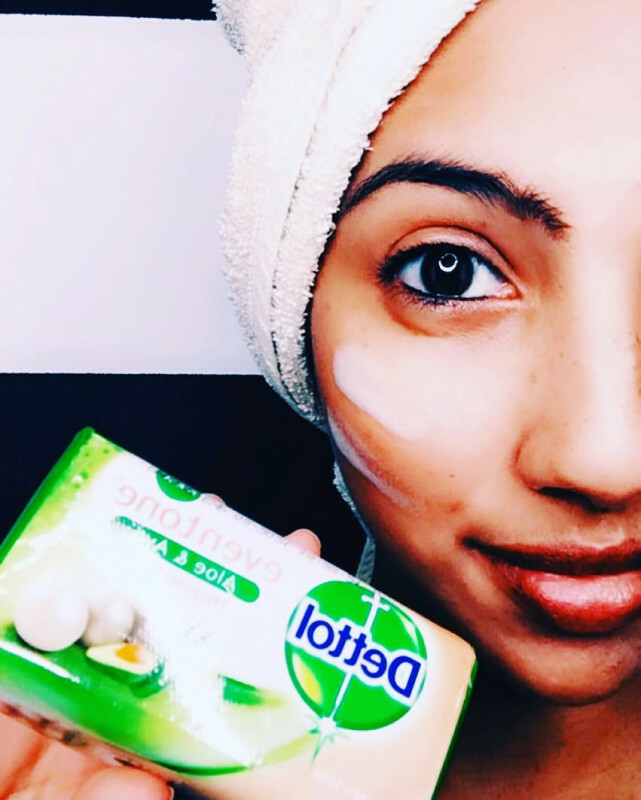 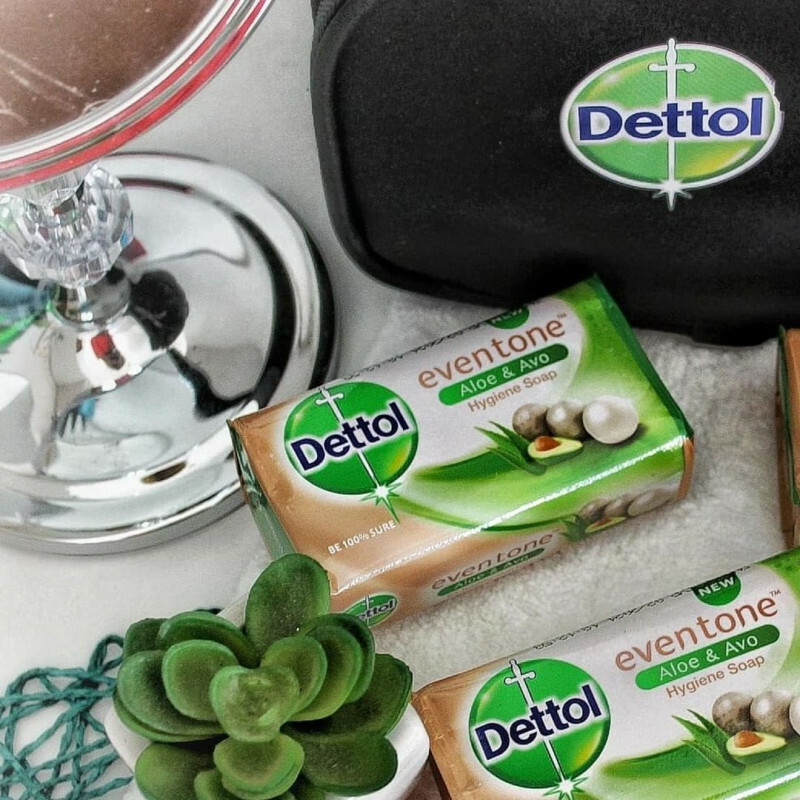 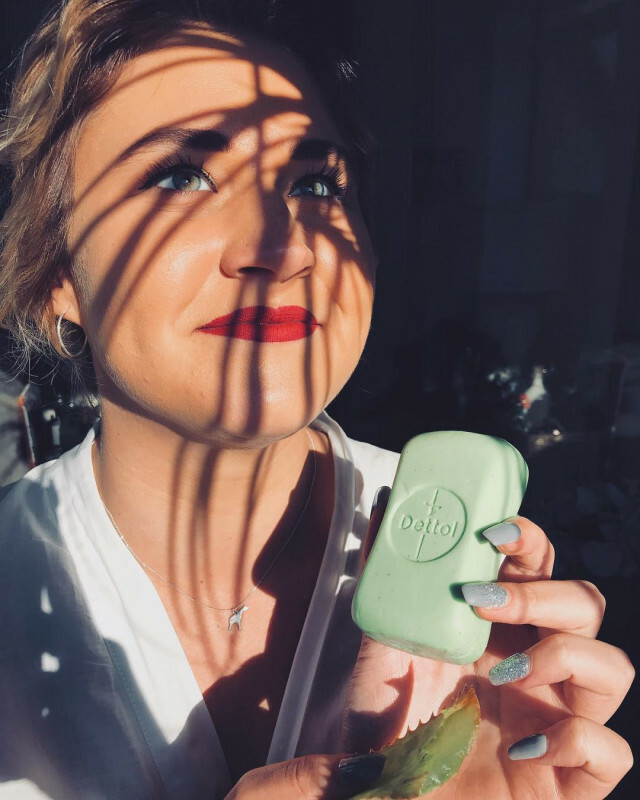 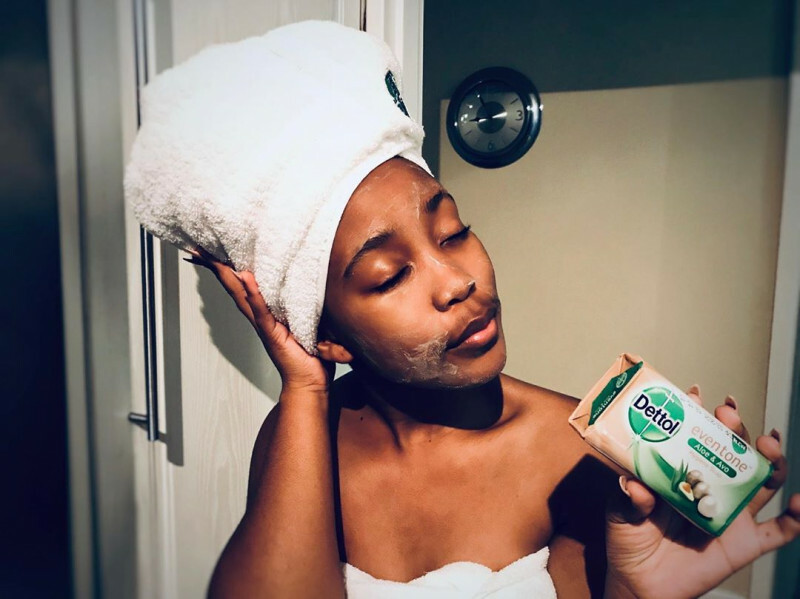 I've been using the Dettol Eventone Beauty bar for 2 weeks and impressed by the smell, effectiveness on FACE as i have very oily skin. 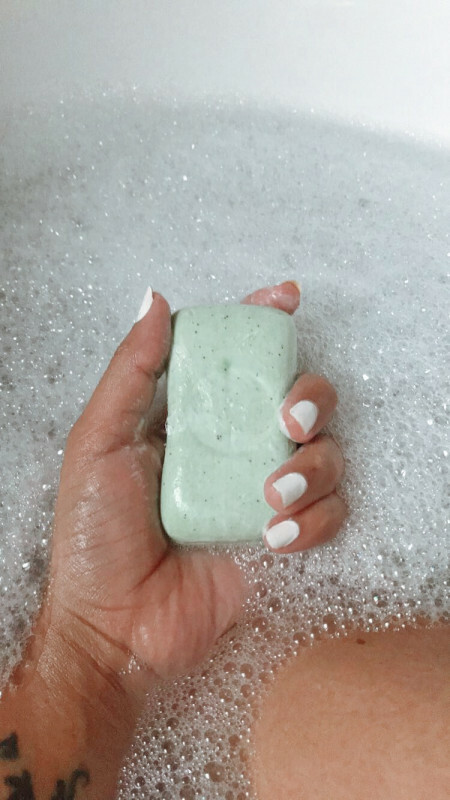 I die for foamy soaps because i dont have to apply soap sooo many times on my washing towel or gloves. 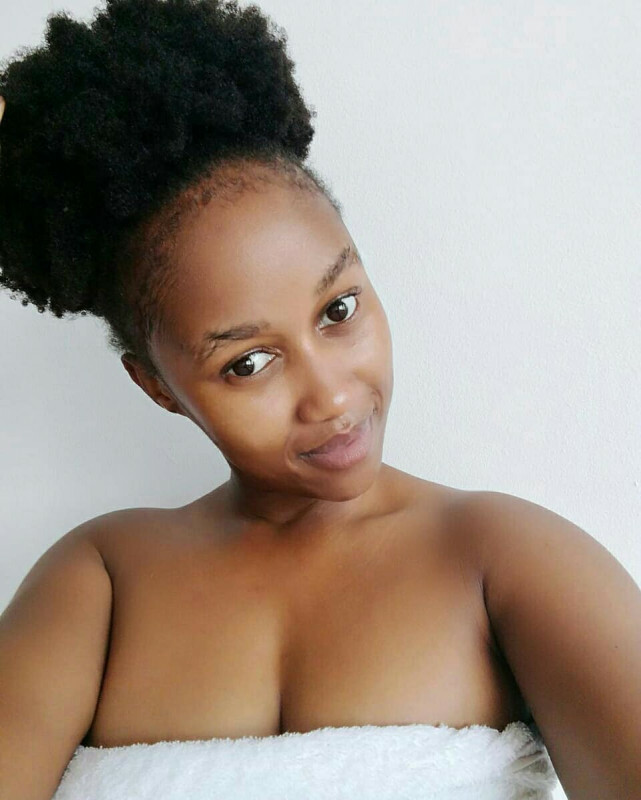 My face looks even so far, i suffer from pigmentation on my neck and waiting to see the difference by 4 weeks. 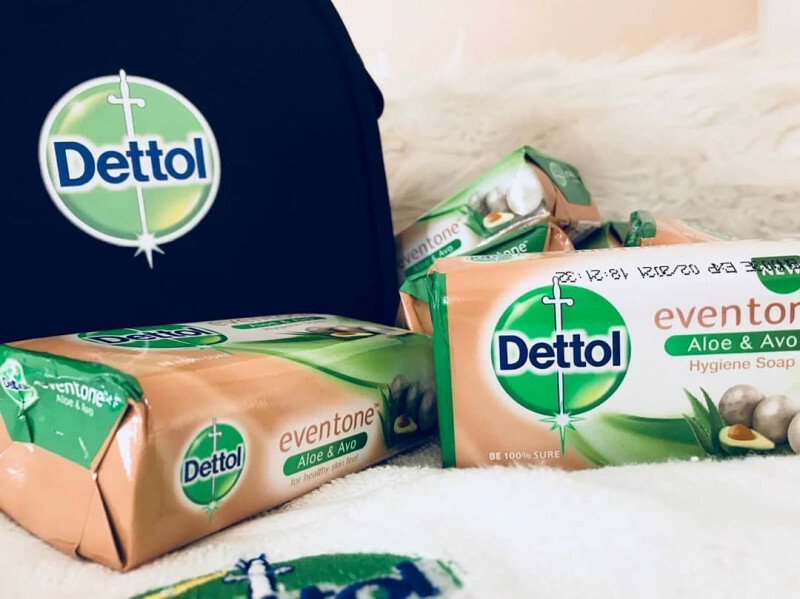 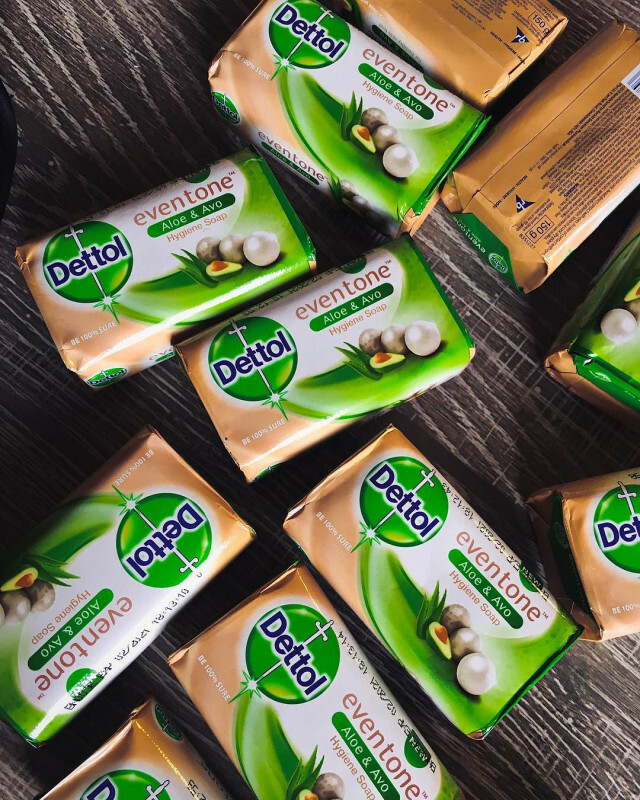 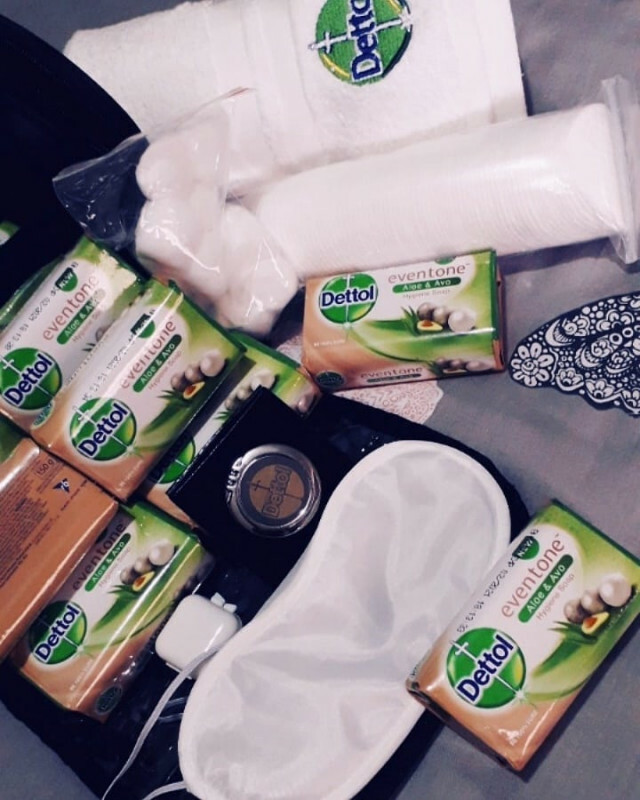 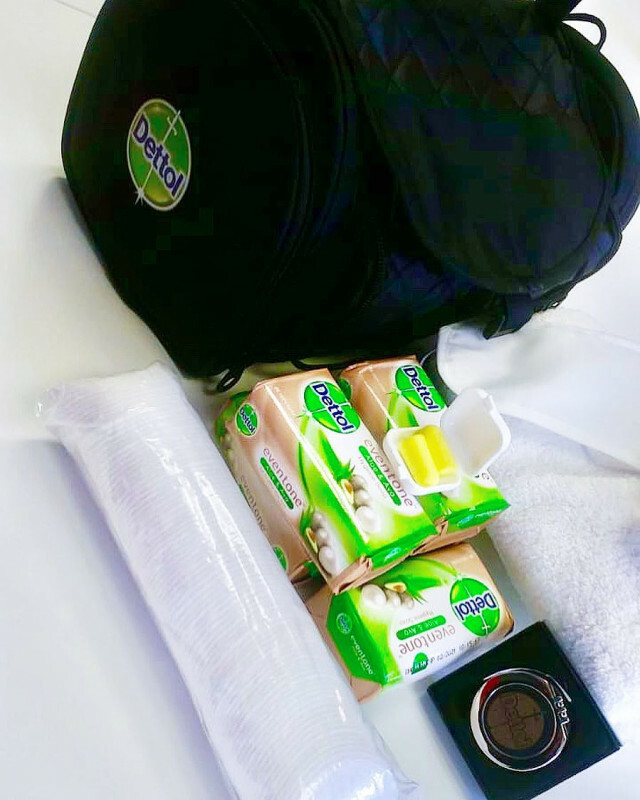 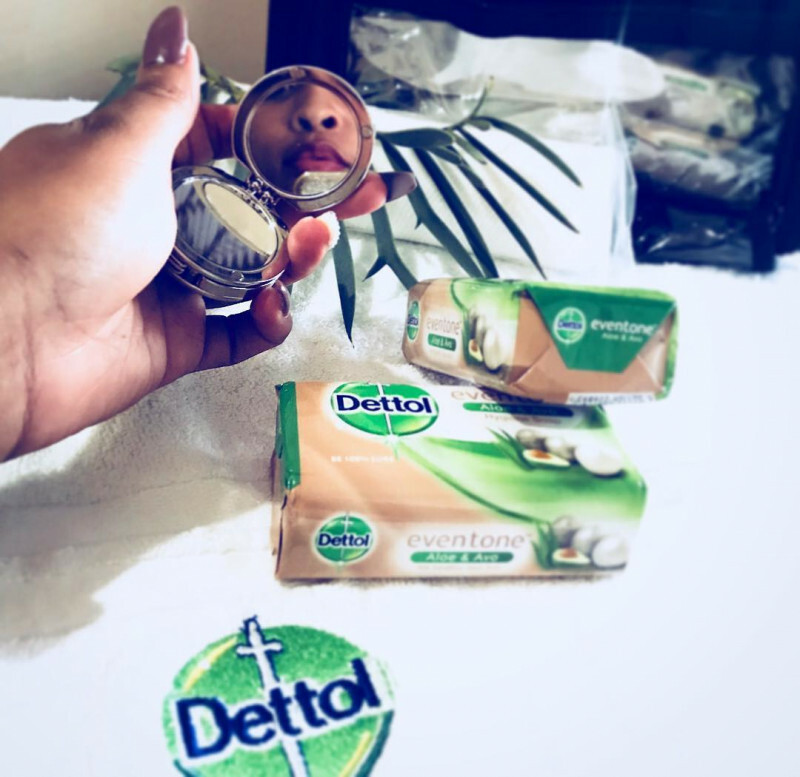 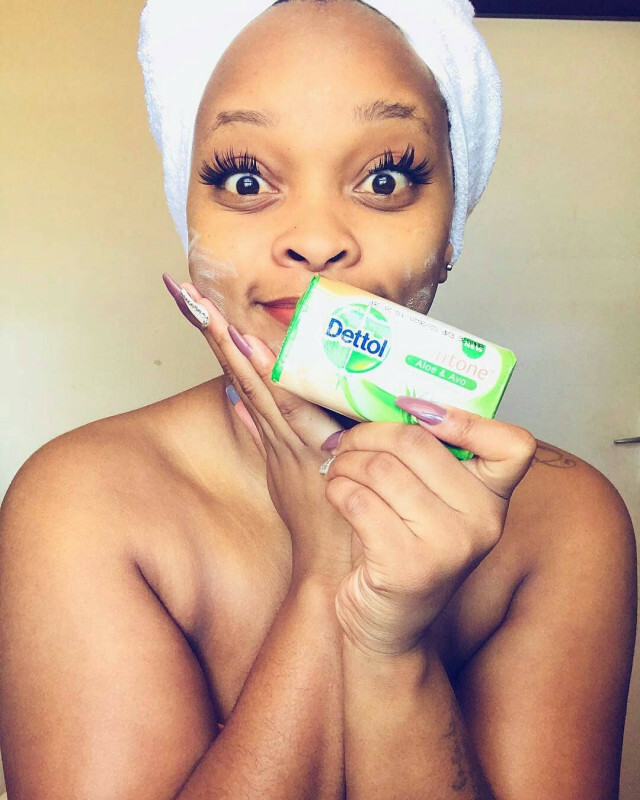 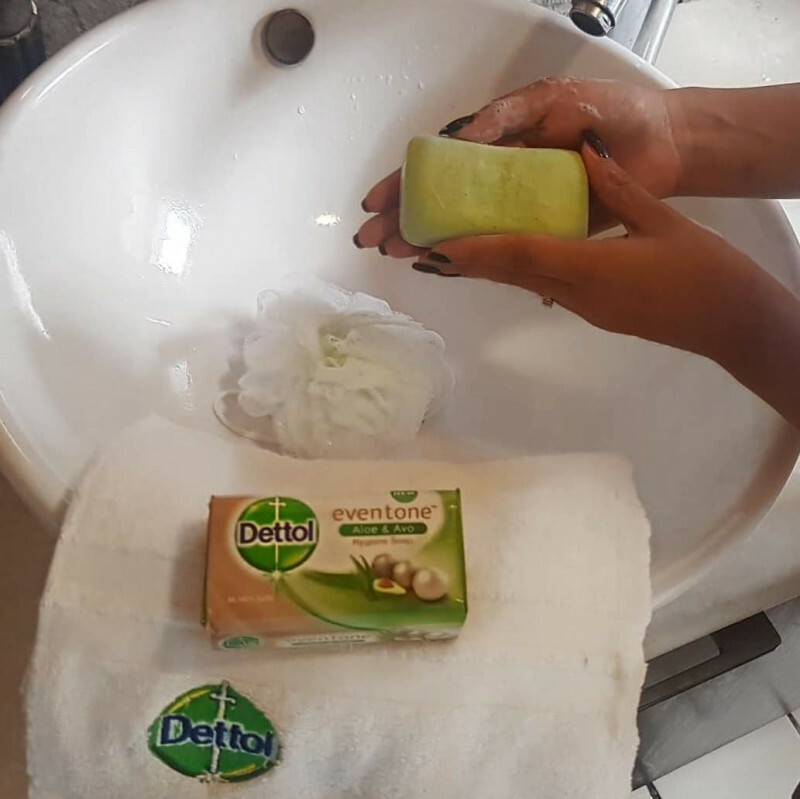 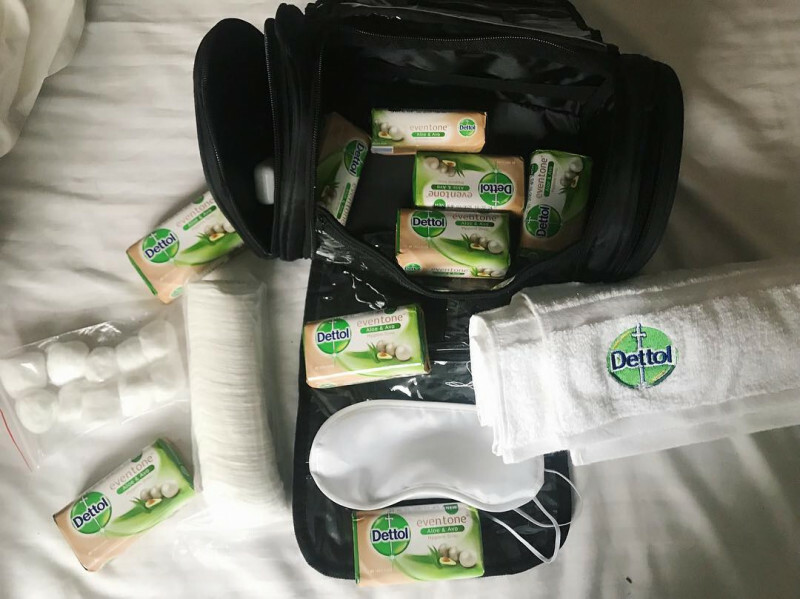 Been using Dettol eventone for 2 weeks now and i must say I love it, It is the deal. 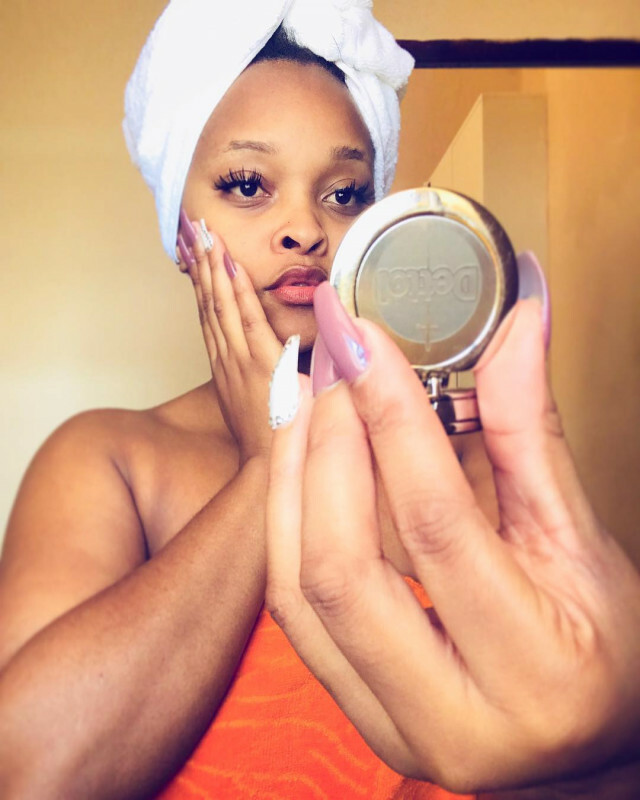 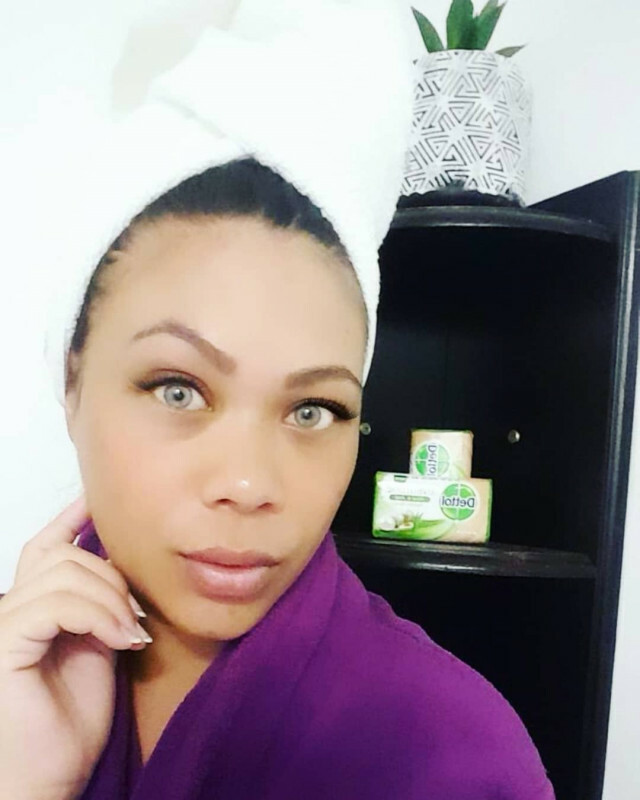 It has great fragrance, leaves your skin soft and fresh, this will simply glow and even you up regardless of what cream you are using but most importantly, it maintains your natural skin colour.I totally love it. 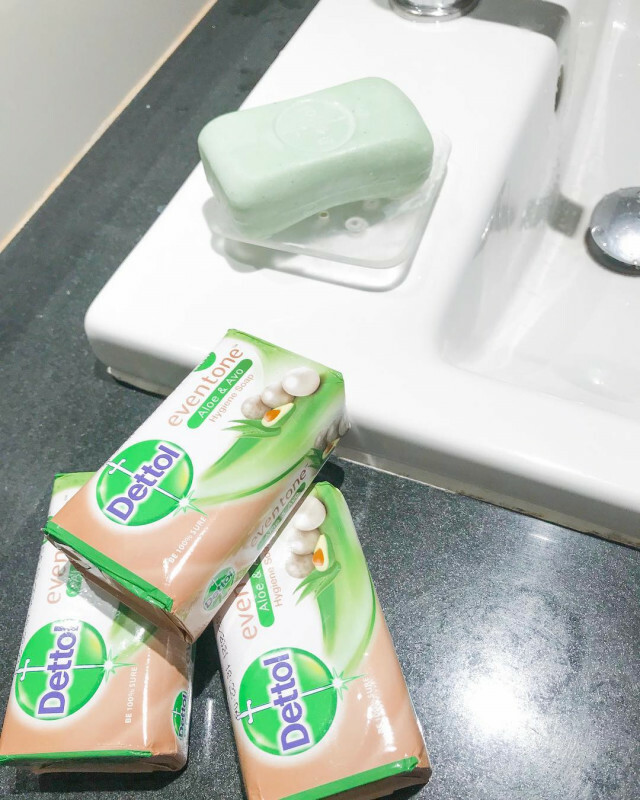 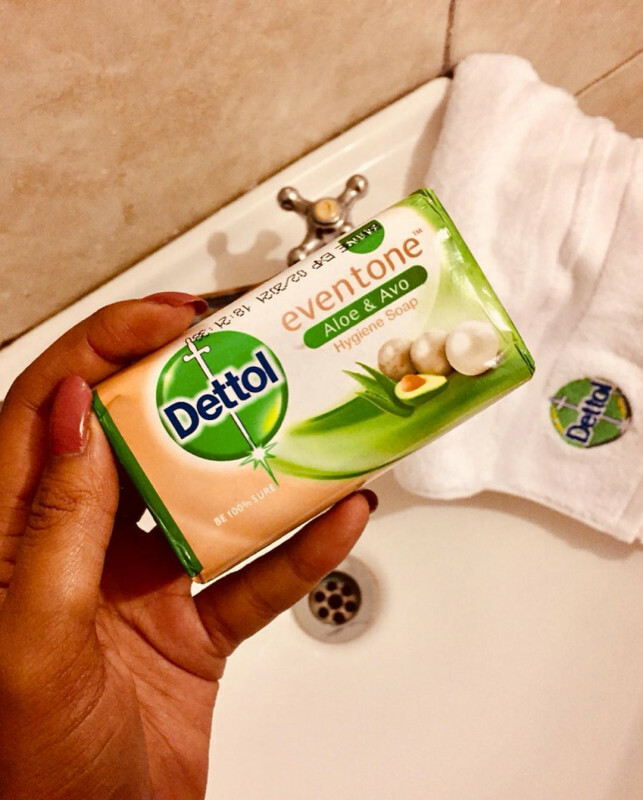 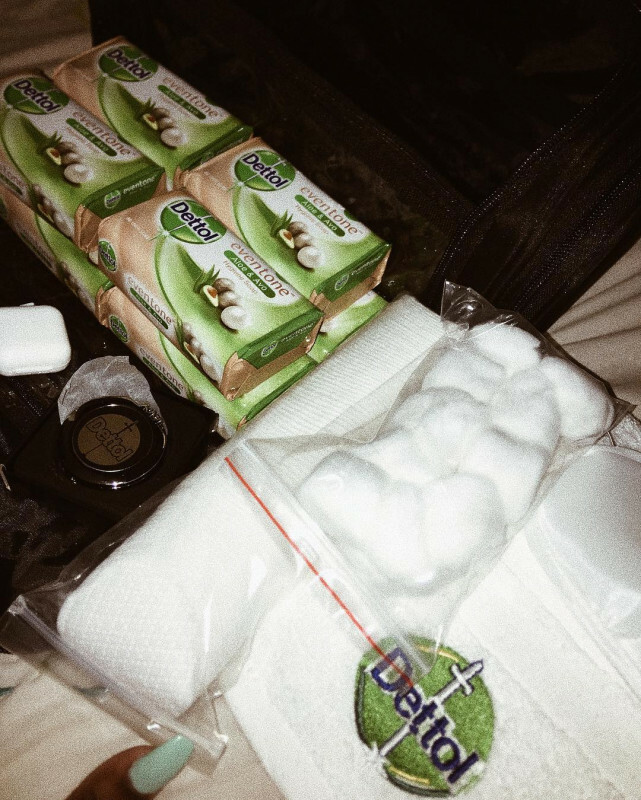 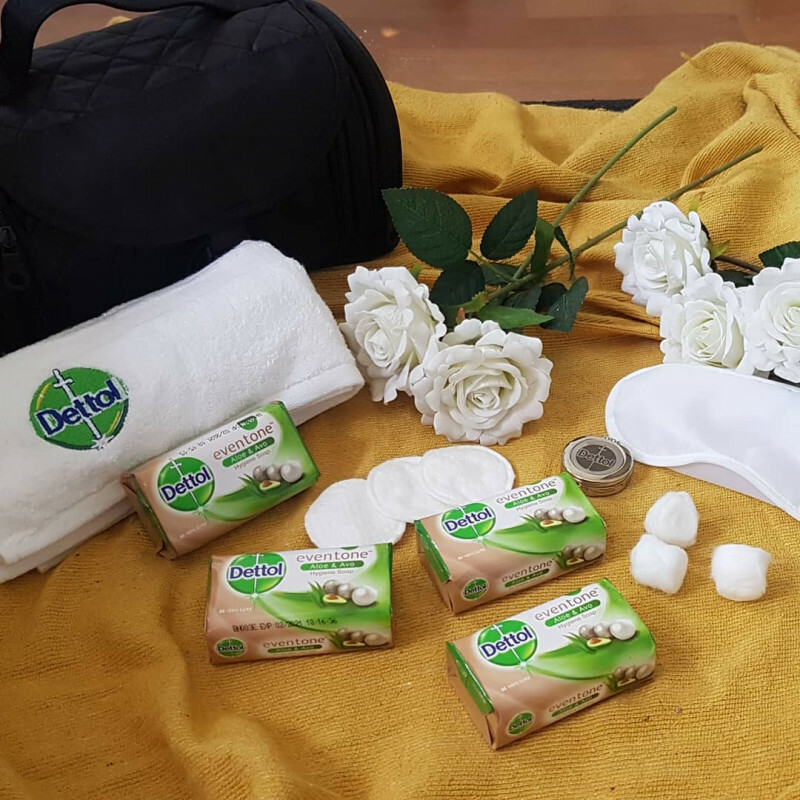 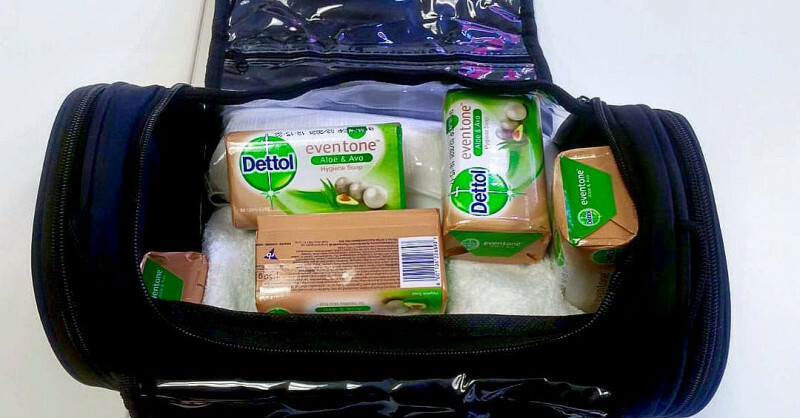 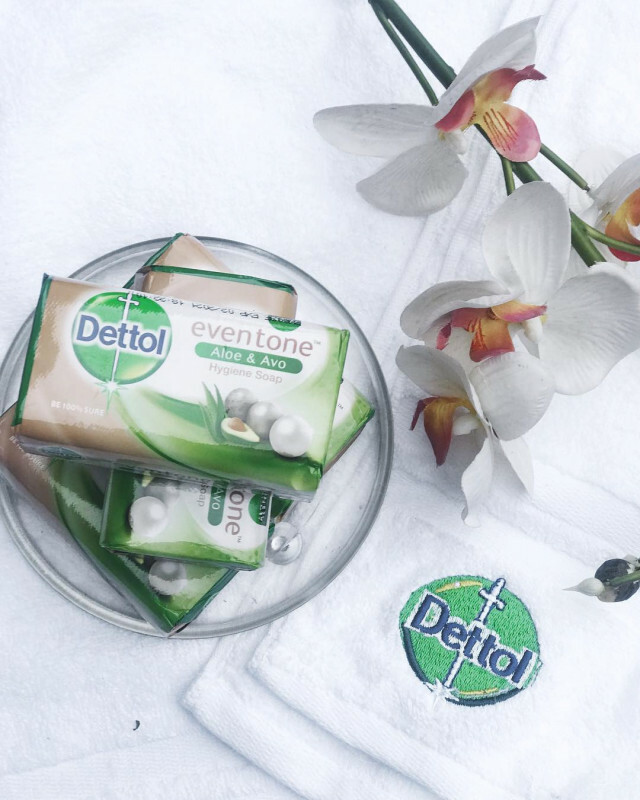 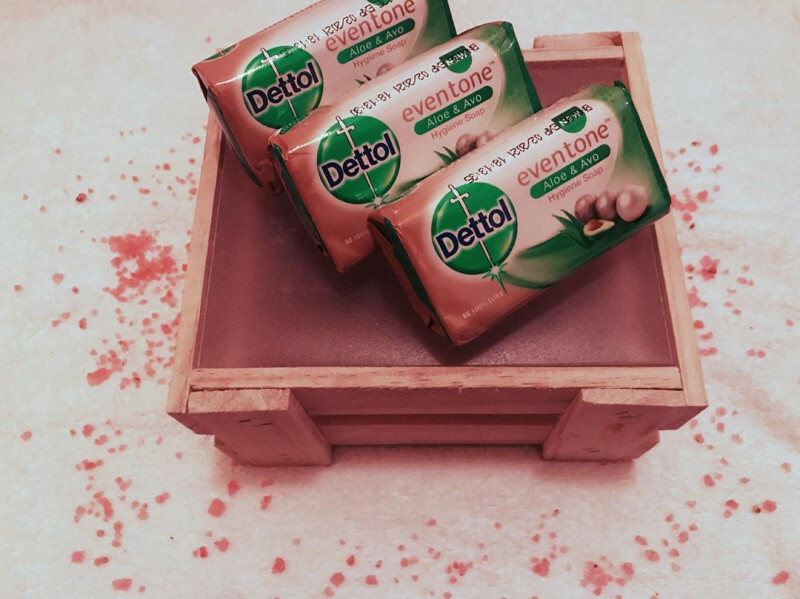 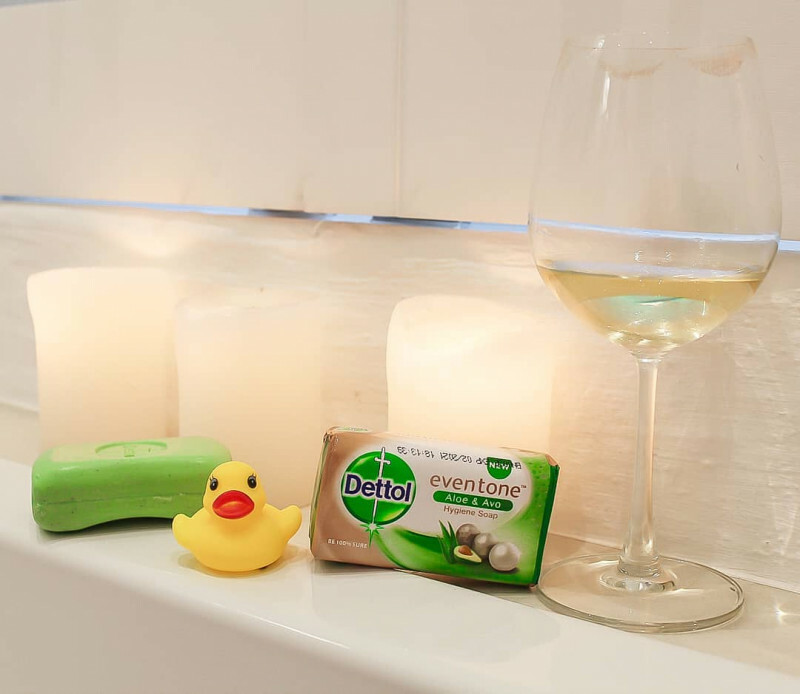 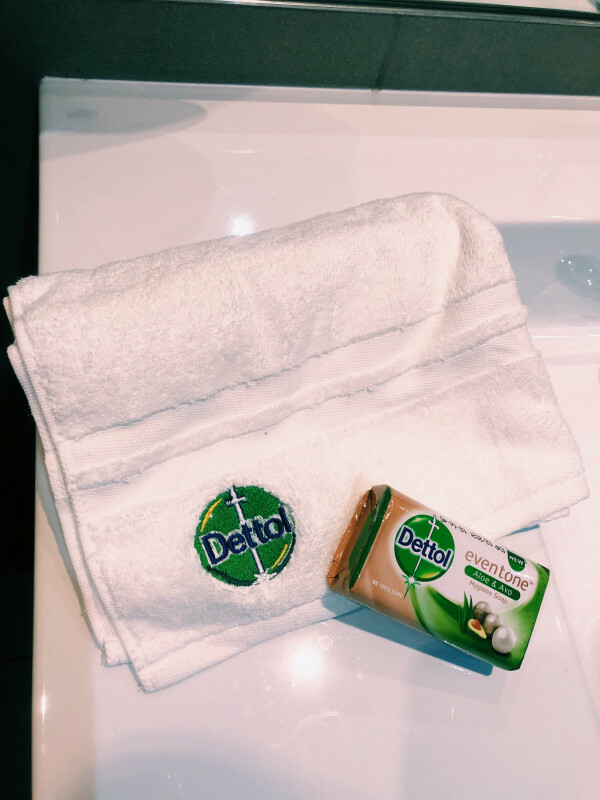 I have been using the Dettol Eventone bar now for about 2 weeks and surprised at it actually really being soothing. 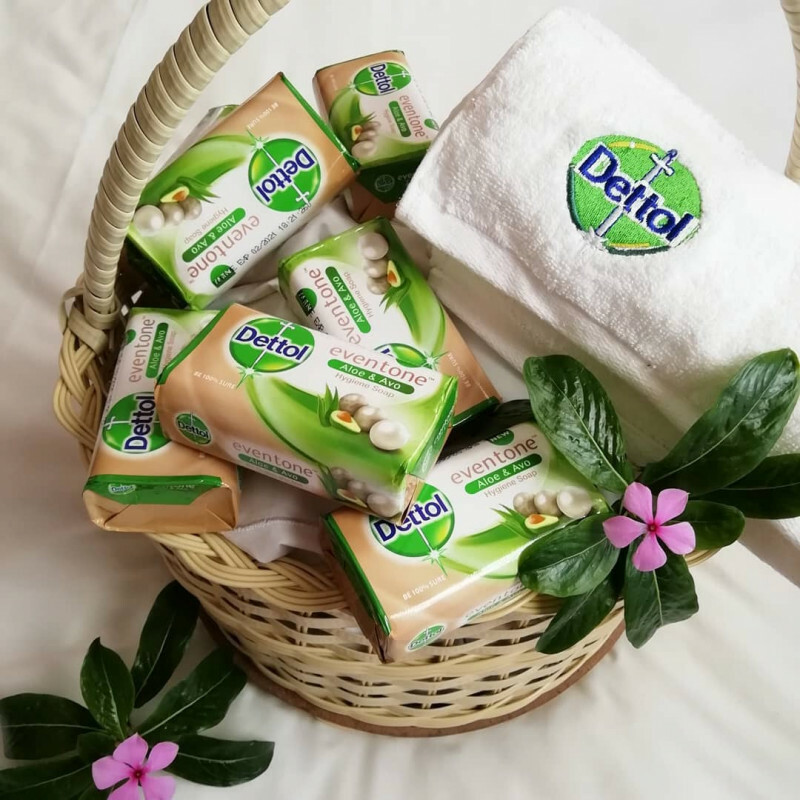 When I think of DETTOL, I think hash, germ killer etc... 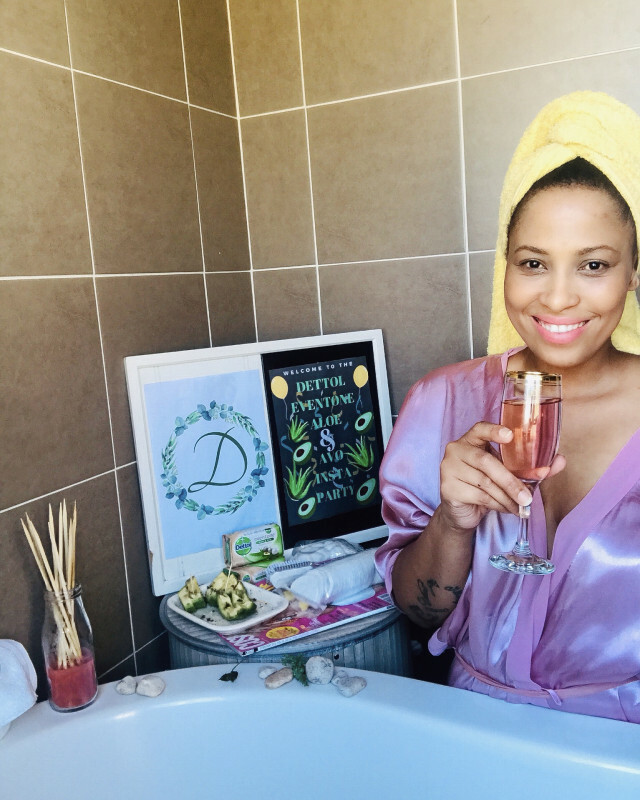 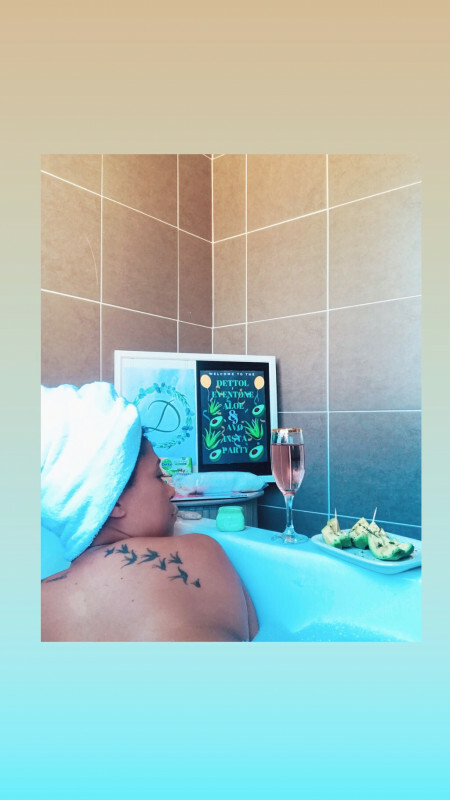 But to my surprise it really has rejuvenated my skin and its refreshing smell is super calming especially for someone that is 39 weeks pregnant. 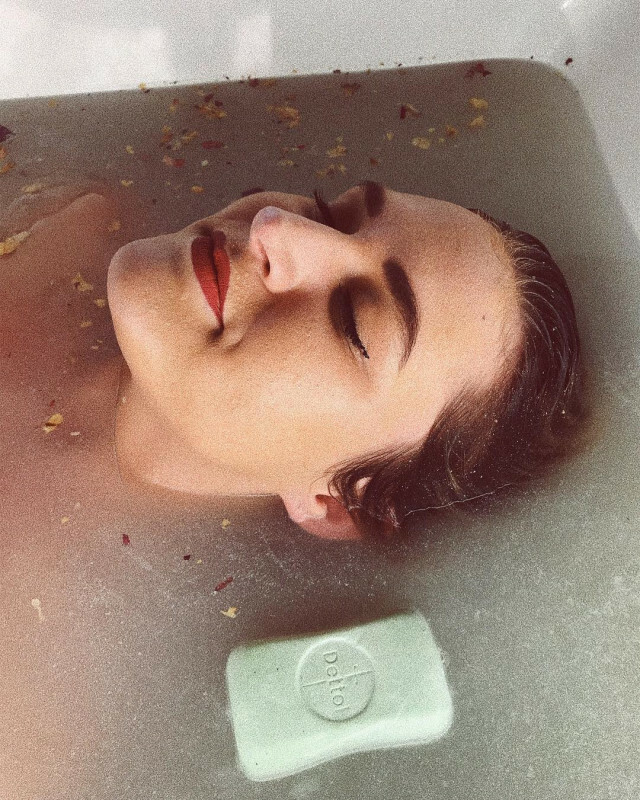 I am indeed happy and would recommend this to others! 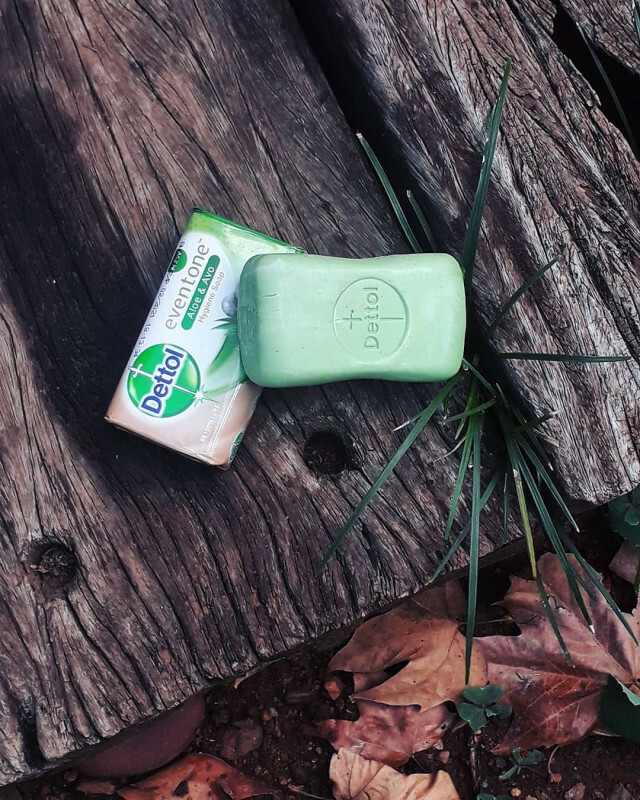 It smells fresh and is so gentle and mild on my skin. 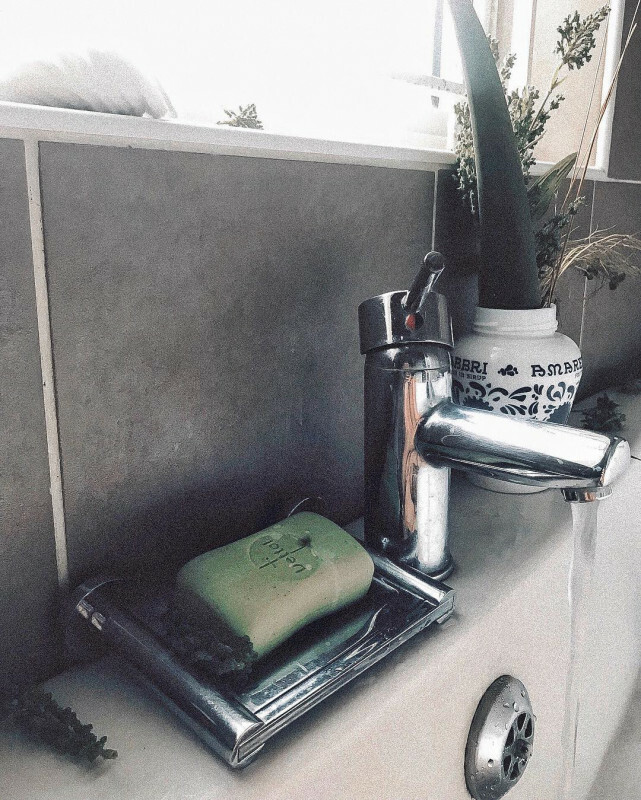 It's cost efficient and is a daily use in my household. 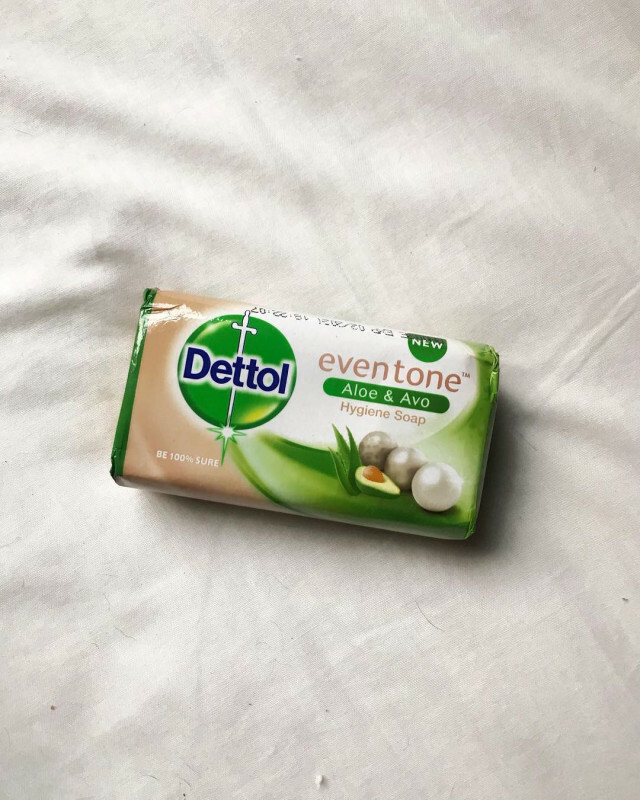 This product is great for people who want even-tone skin and it also leaves my skin fresh and soft inspiring me to do great everyday. 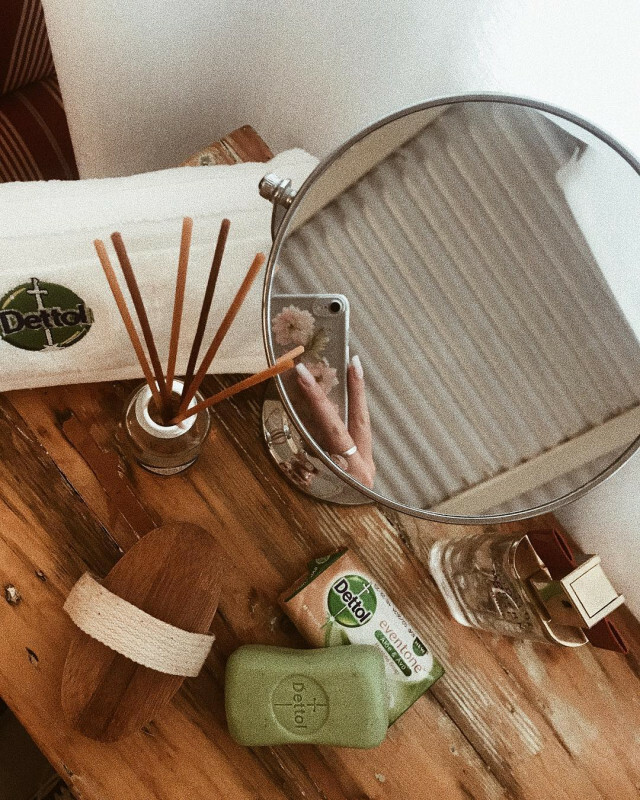 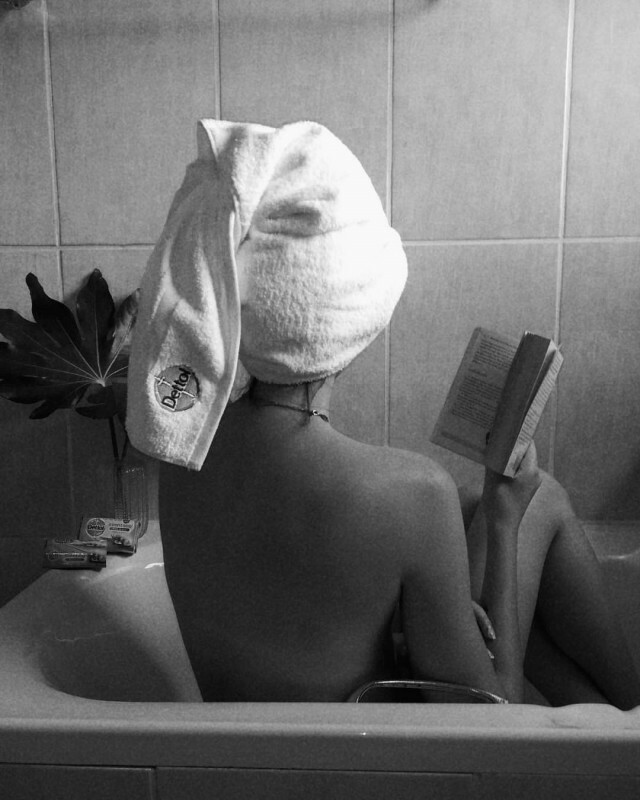 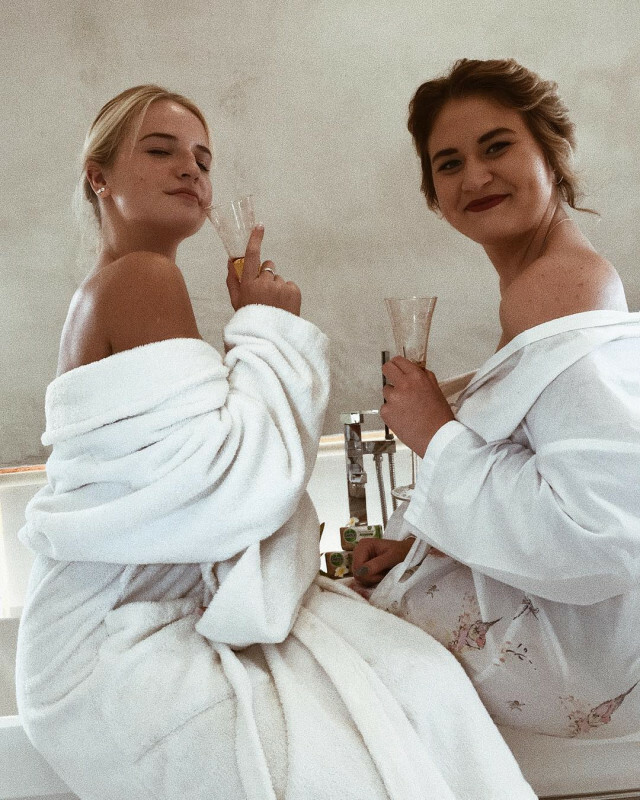 In order to do good you must smell and feel good. 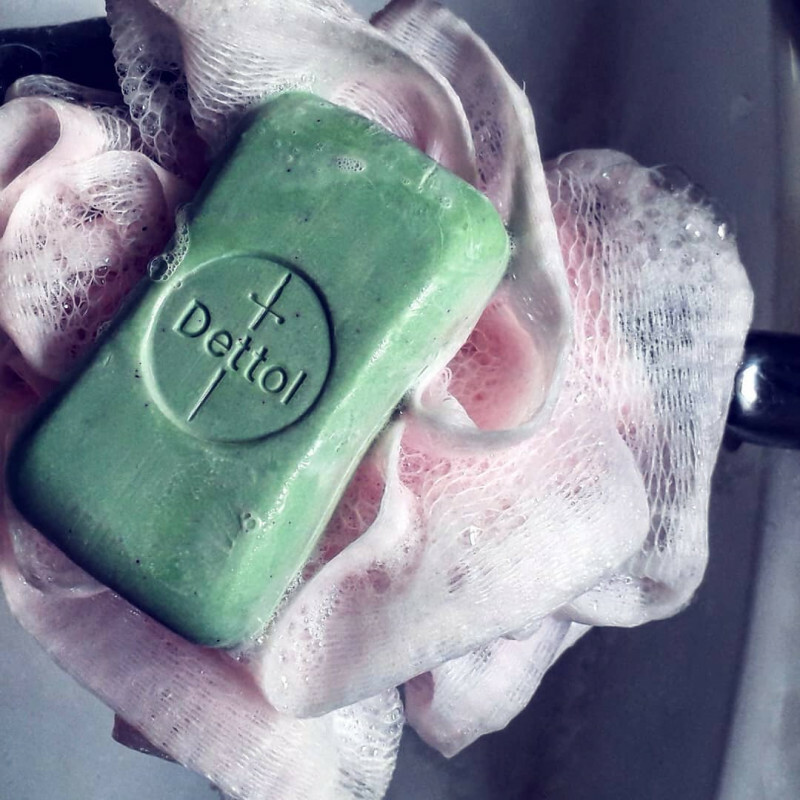 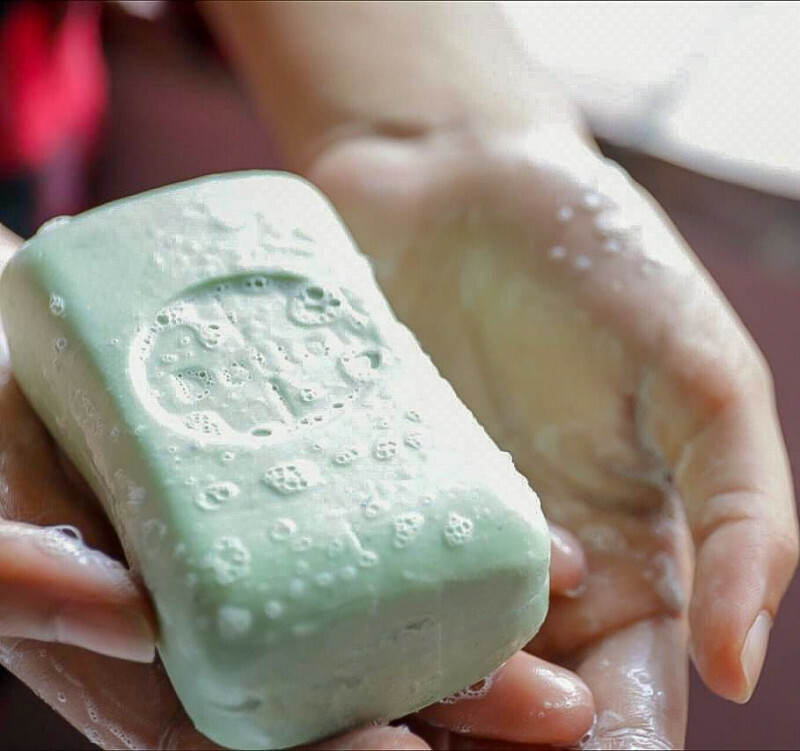 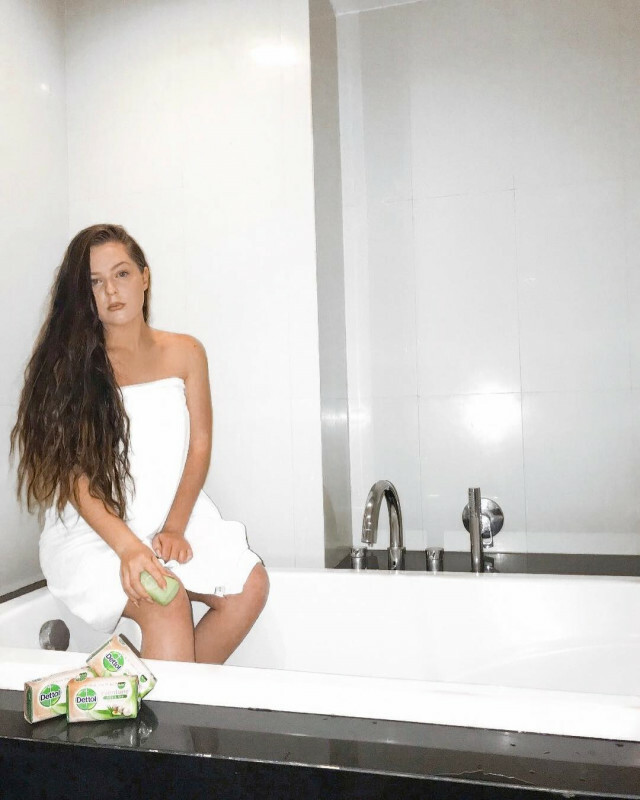 This soap not only leaves me feeling squeaky clean due its hygienic properties, but also leaves my skin smooth, soft and silky.